The heart of the Republic. Today that heart is breaking as the Jedi Order takes stock of their losses at the Battle of Geonosis. “Seventeen more. 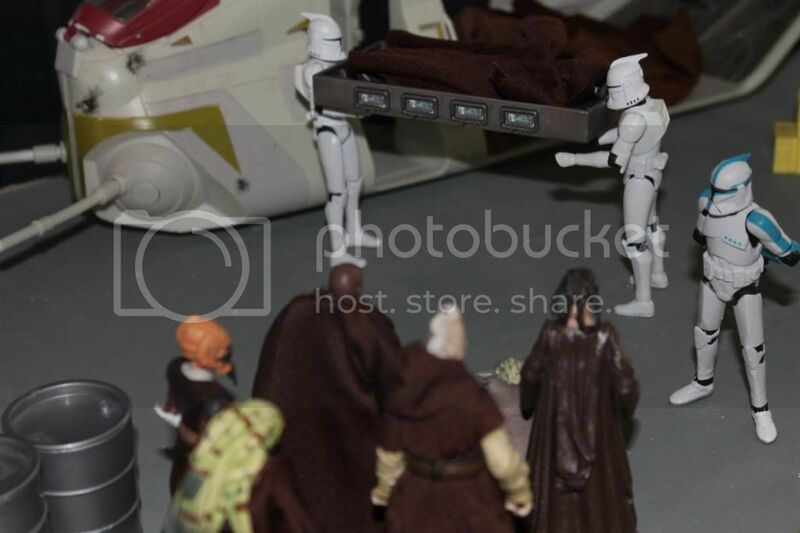 That’s the last of them Masters.”, Clone Lieutenant Spike reports to the group of mourning Jedi as their deceased brethren are unloaded from the gunships. “That brings the death toll to 182.”, Ki-Mundi sighs. 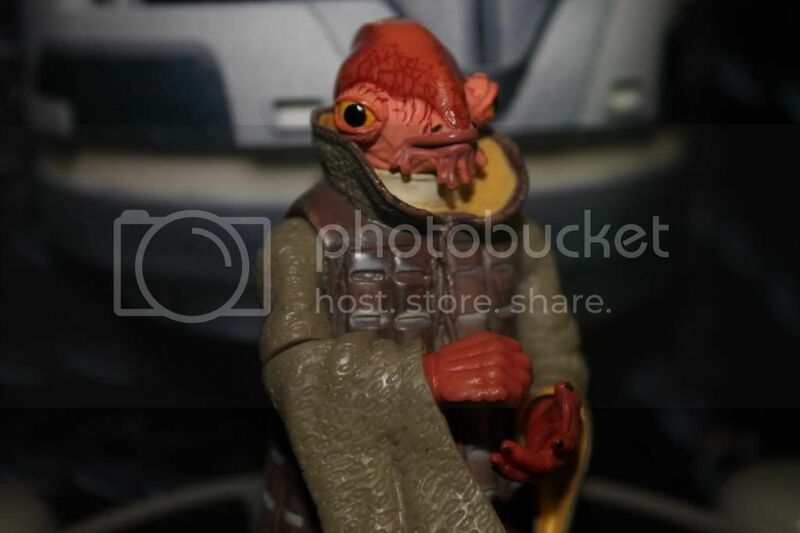 “And yet the Chancellor calls Geonosis a victory.”., Plo Koon heavily observes. 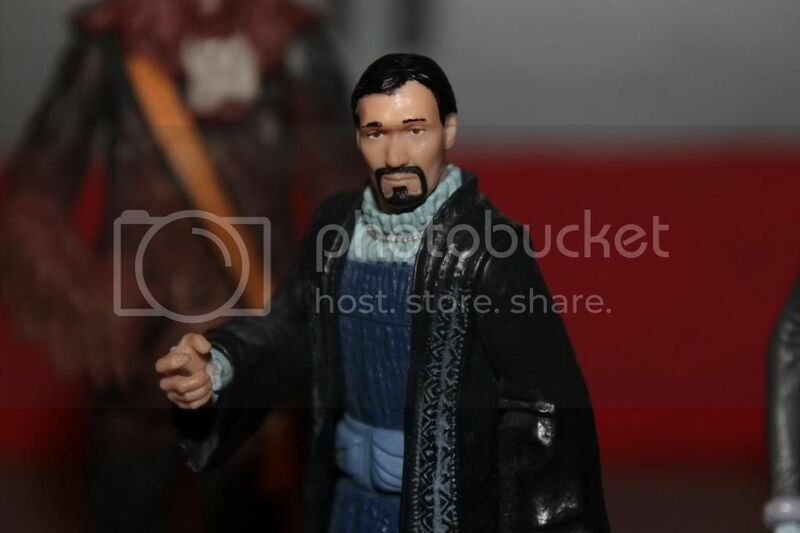 “What of Sar?”, Master Depa Billaba hesitantly questions. “Depa, your sister fought bravely... But... There were so many droids... 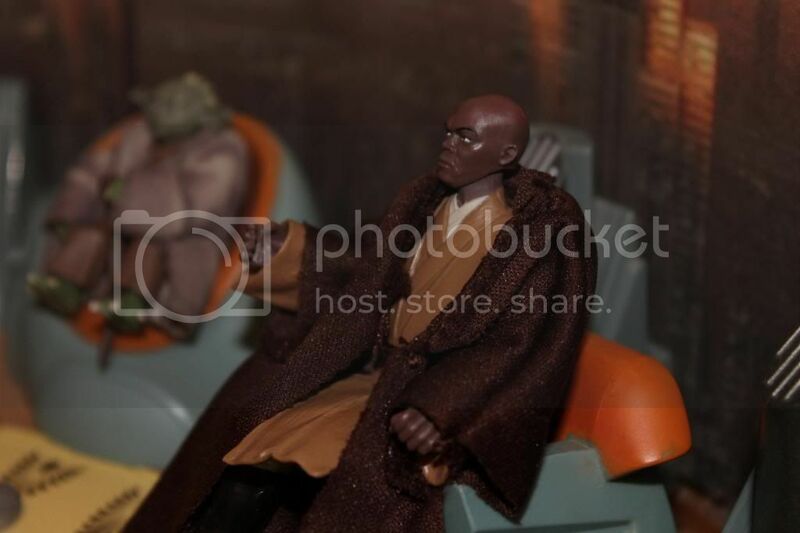 So many good Jedi died.”, a haunted Mace Windu struggles to explain. “She died in service of the Order, as we all will in our time. She is now one with the force.”, Mace attempts to console. “My sister died protecting the power of those thugs in the Senate. There is no innocent side in this war, merely two aggressors who cannot begin to admit their own failures.”, Depa bitterly bites back. 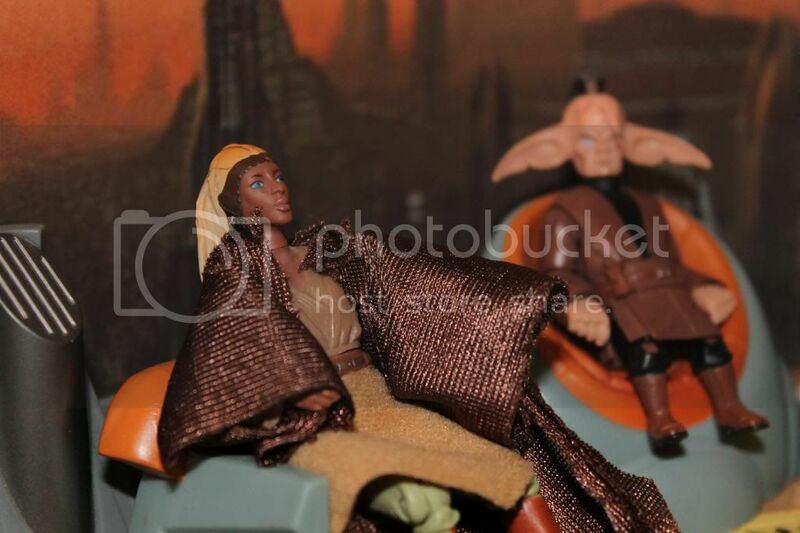 Taken aback by Depa, Yoda gingerly cautions, “Remember your training you must, Master Billaba.”. “I remember my training! A Jedi respects all life, we do not murder at the bequest of a corrupt Senate. A Jedi seeks to better themself through knowledge, not denounce any view which does not align with their government’s. Perhaps it you who must remember your training. All of you!”, Depa spits. 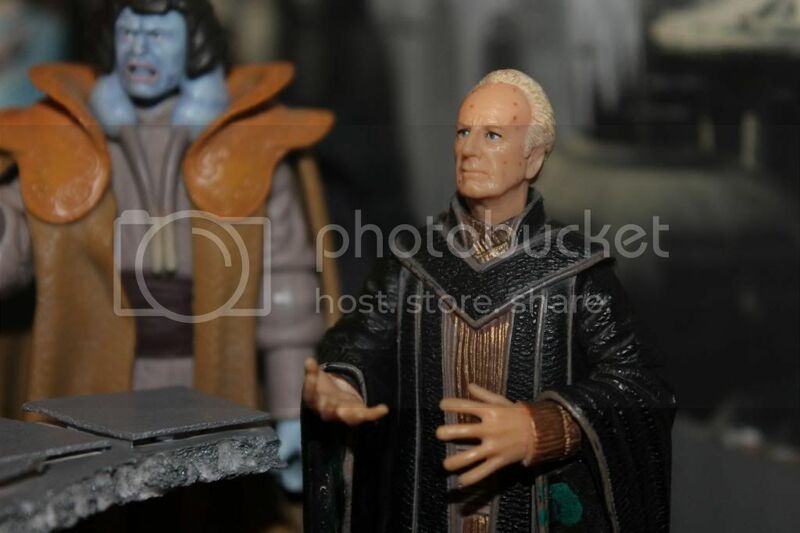 “Depa, calm yourself!”, an aghast Master Windu attempts to reason. “I can no longer continue to serve your order, which has fallen so far from the ideals we once held sacred.”, she continues. 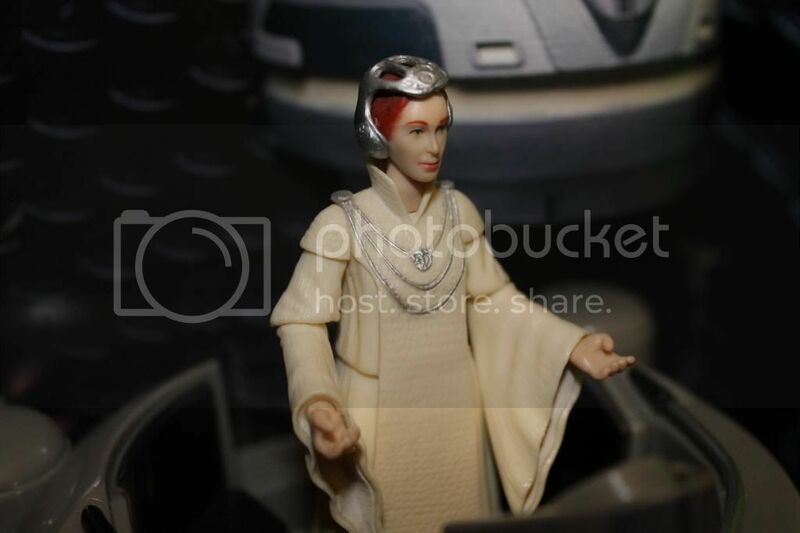 As the sun rises to herald a new dawn, Jedi Master Depa Billaba turns her back on the only way of life she has ever known and in so doing faces the dawn of her new life. 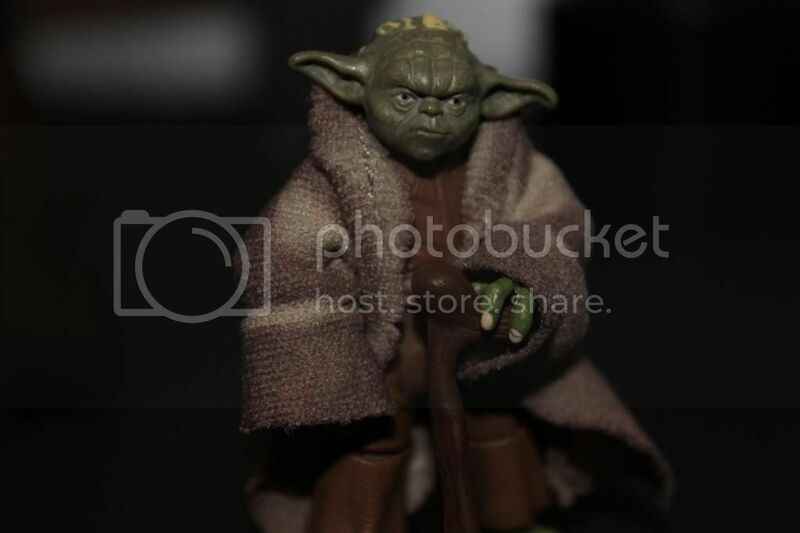 “Only the first she is.”, Yoda observes, “More Jedi will fall away from the Order, fear I. ”. Watching his friend and former padawan disappear into the morning sun Mace questions, “Can you blame them? The shroud of darkness covers the true purpose of this war. Who is to say they are wrong.”. 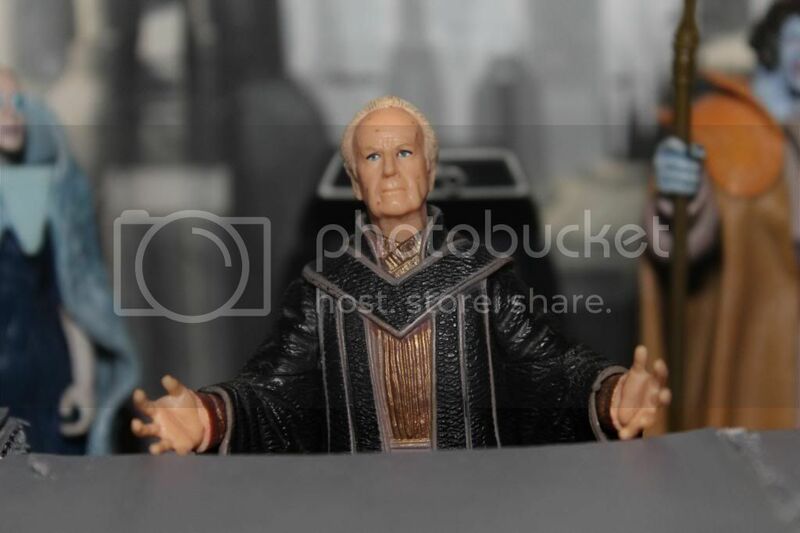 Chancellor Palpatine, leader of the Galactic Republic, stands looking out over the Coruscant sunrise from his luxurious office. 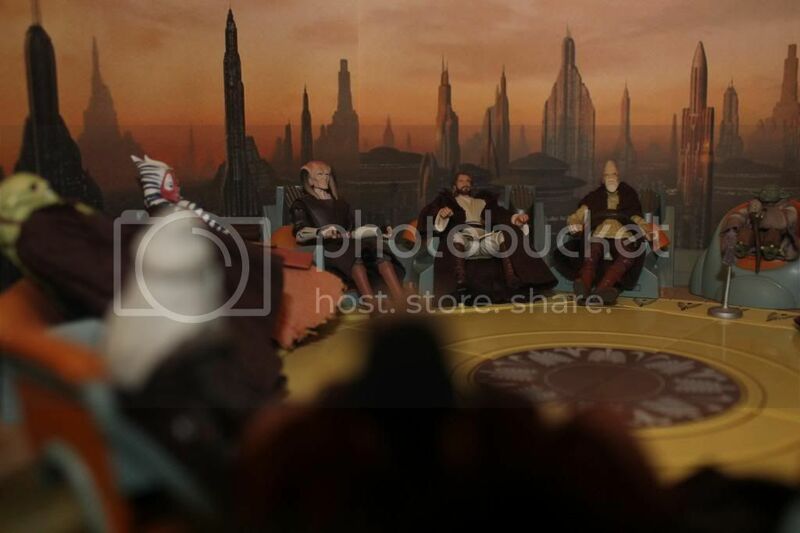 The Chancellor turns to face the group assembled in his office and sighs, “I will not diminish the extent of our plight my friends. 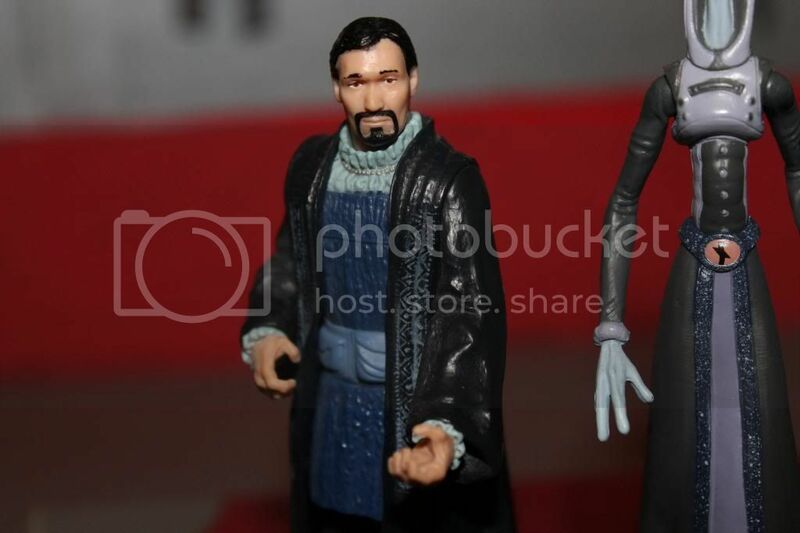 Count Dooku and his Separatists have been preparing for war for nearly a decade. We are woefully behind them. Prime Minister, your clones are our only hope.”. “They will not disappoint you Excellency.”, Kaminoan Prime Minister Lama Su assures. “Yes, but are they equipped to conduct a full scale war? 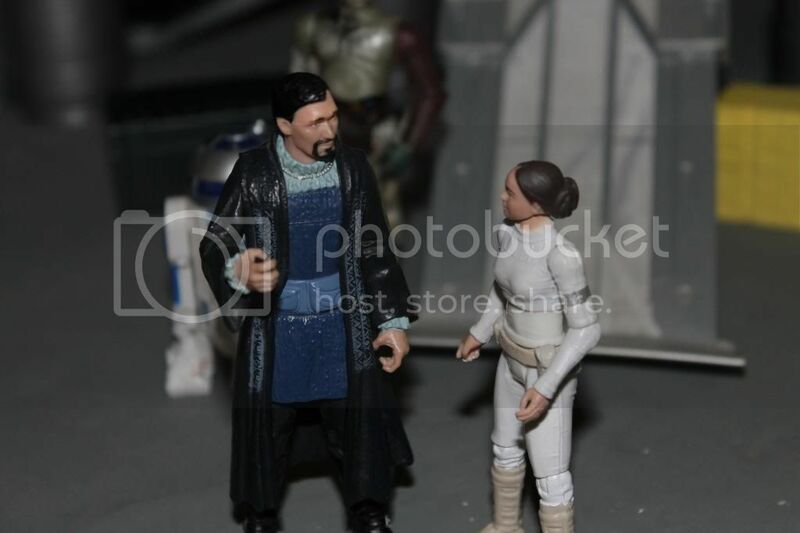 In addition to a need for soldiers we are desperately lacking tacticians, generals, leaders for this new army!”, Bail Organa questions. 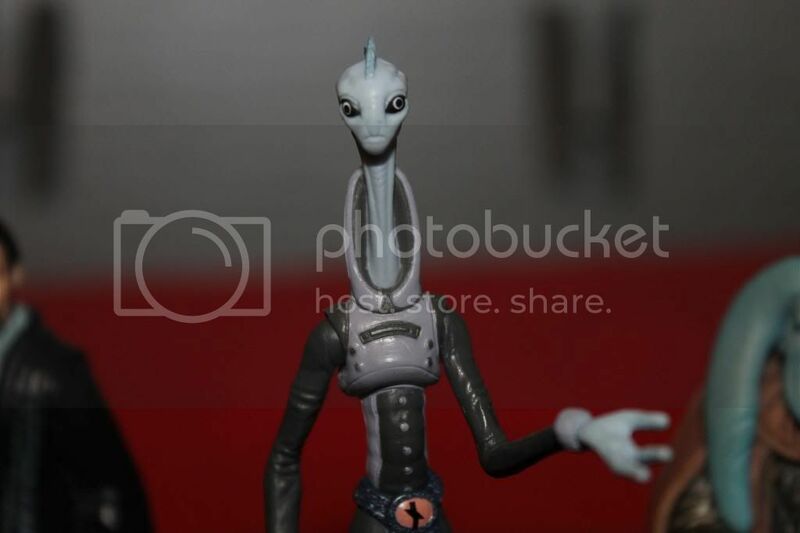 Unphased Lama Su answers, “Our cloned troopers were designed only to serve as field commanders. They are... untested in the ranks of which you speak.”. 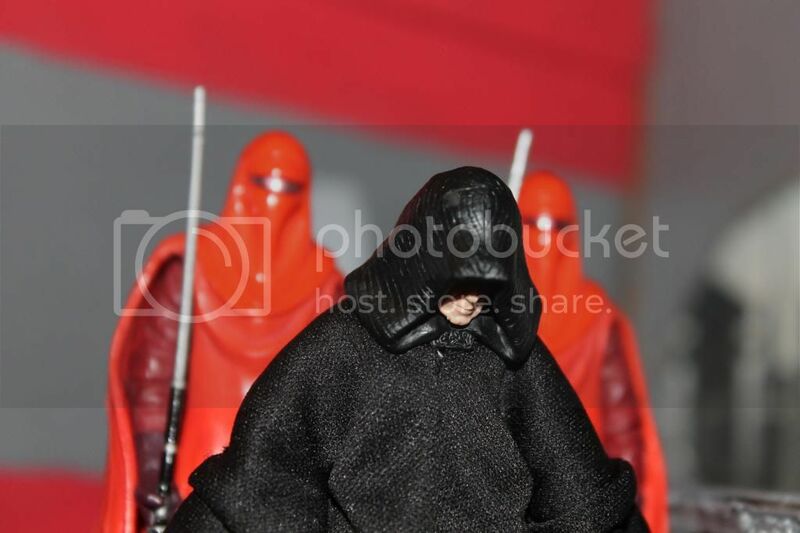 “That raises a problematic issue.Where can we find leaders for this new army?”, Palpatine grimly questions. “What of the sectoral militaries, security forces, or the even the Republic Peacekeepers?”, blusters the Gran Senator Ask Aak. “With all due respect, any of those choices would lead to disaster. 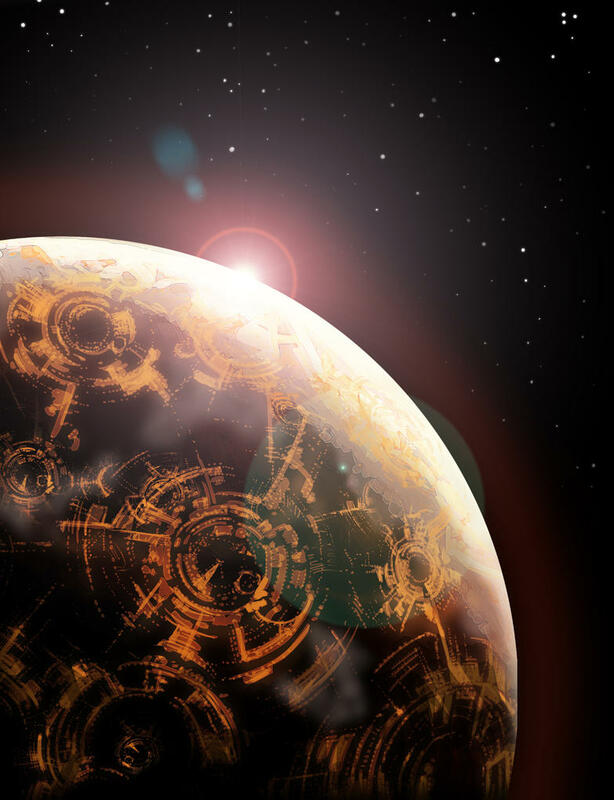 The training of planetary security forces and militaries is as varied as their home planets and no sector is willing to part with their own security, even for a greater good. 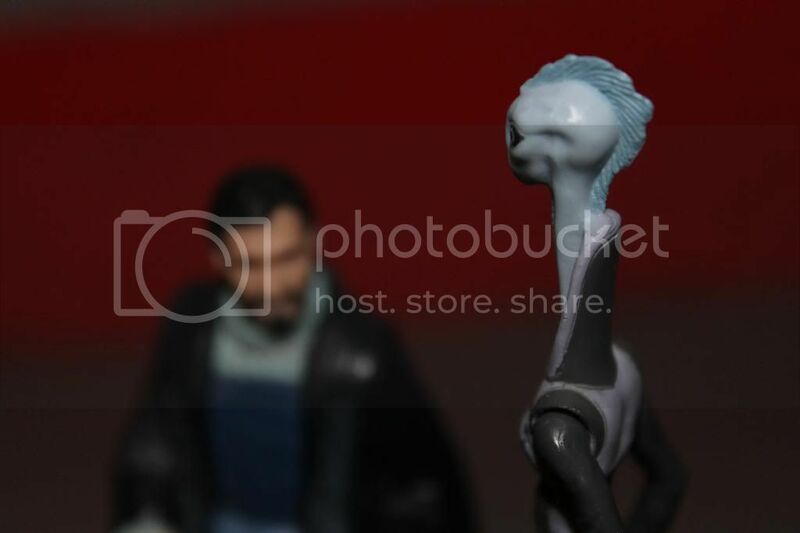 And our Peacekeepers cannot even contain the Badoo Cobra terrorist, much less an organized army such as Dooku’s.”, Palpatine observes. “What of the Jedi?”, questions Organa, “Their Order led the clones most capably on Geonosis.". “That was the wish of Master Syfo Dyas.”, shares Lama Su. “I fear the Senate is too divided over the Jedi to ever offer them such an important role in the war. 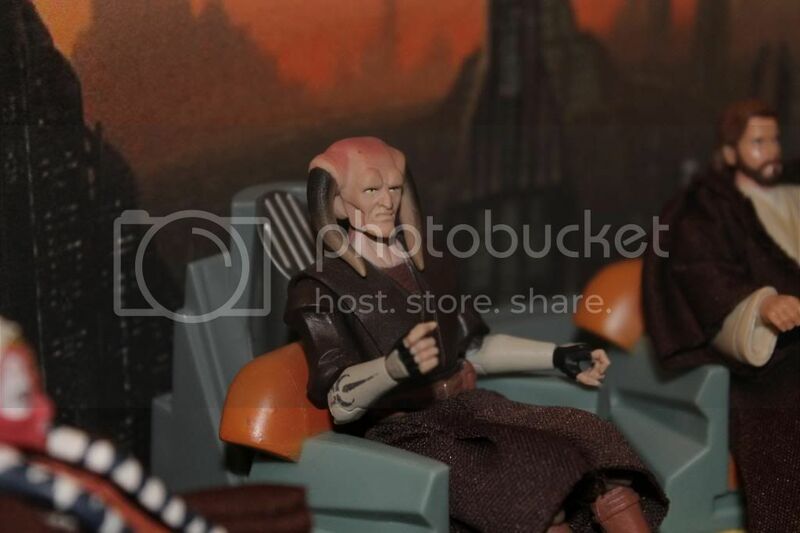 Senators like Sanu Saru have already blamed the Jedi for the outset of war.”, Palpatine states. 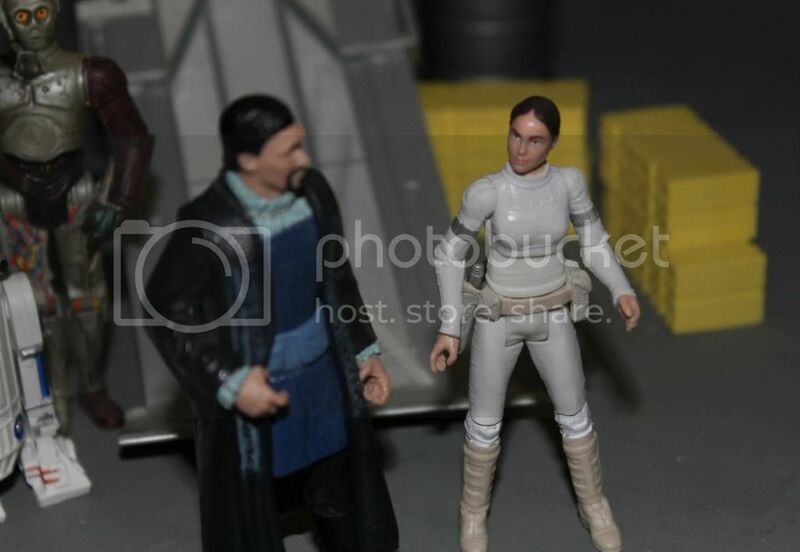 “But you could if the Senate extended you further emergence powers.”, Organa points out. “I suppose, but that would require I be made the Supreme Commander of the Grand Army of the Republic in the place of the Senate. 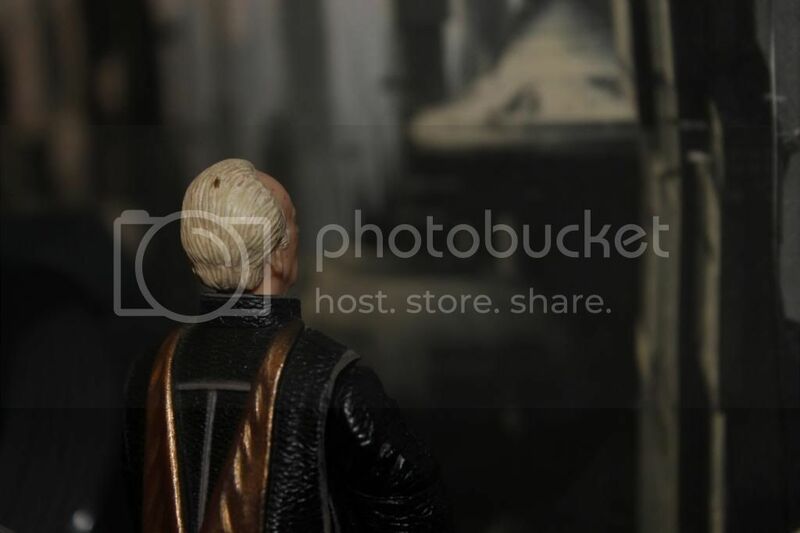 I could never accept such responsibility.”, Palpatine humbly answers. “But you must!”, Orn Free Taa exclaims, “The Senate is too bogged down in bureaucracy to efficiently direct the war. I will personally bring the motion before the Senate.”. “Very well.”, Palpatine reluctantly yields, “But might I suggest that Senator Amidala bring the motion before the Senate, she is something of war hero after surviving Geonosis and greatly respected. Her support would do a great deal in advancing the legislation.”. 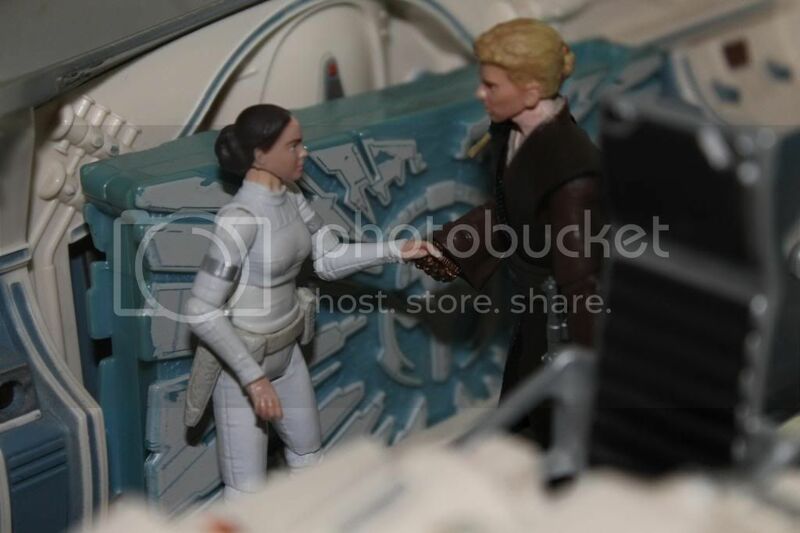 “She returns from Naboo today, I will personally ask her.”, Organa assures. 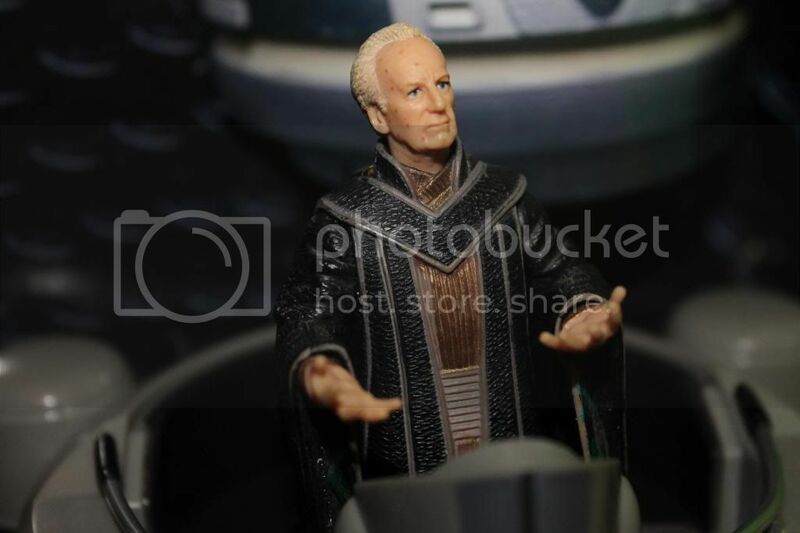 Palpatine warmly smiles and concludes, “Thank you my friends. 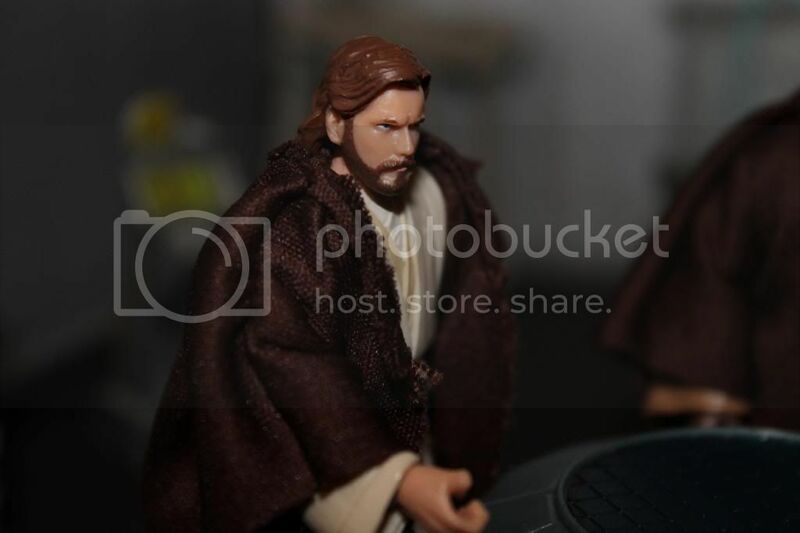 Let us only hope that the Jedi are up to the challenge.”. 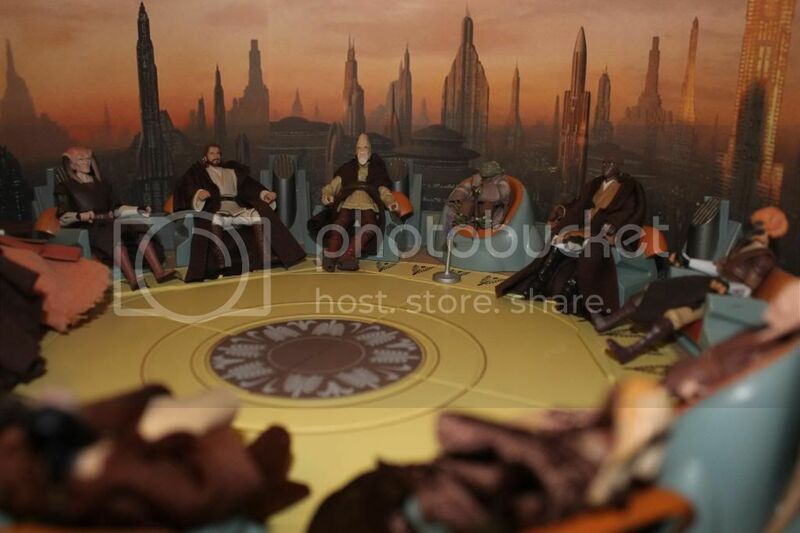 The Jedi Situation Room, or the War Room as some have already begun to refer to it, has served as the Order’s link to far flung planets and instant information from a time before even Master Yoda walked the halls of the Temple. 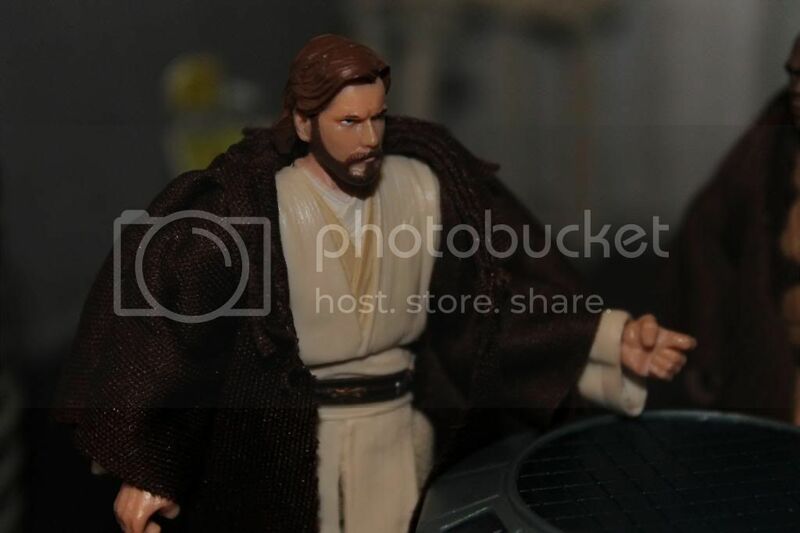 Jedi Master Obi-Wan Kenobi wryly shakes his head as he enters the Situation Room, still unnerved by the events of the past days and his role within them. 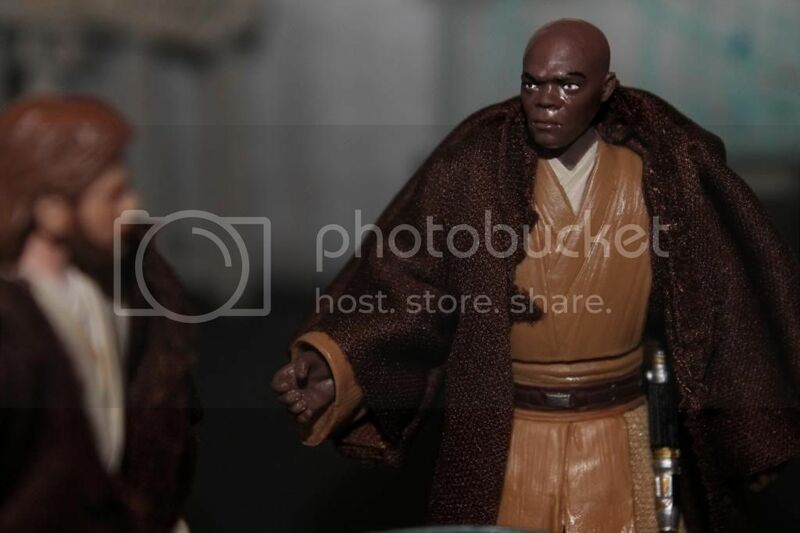 “Good to see you it is Master Kenobi.”, Yoda warmly greets as Kenobi joins himself and Windu, “Healing well your injuries are I trust?”. 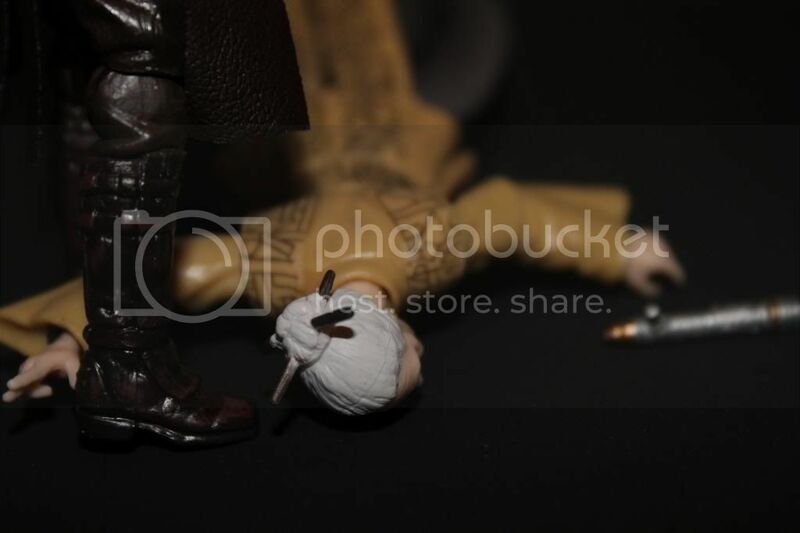 Remembering the seething pain following his duel with Count Dooku, Obi-Wan flinches and dryly answers, “Well enough, you did train Dooku rather well you know.”. “Fear I do that not so true may that be. 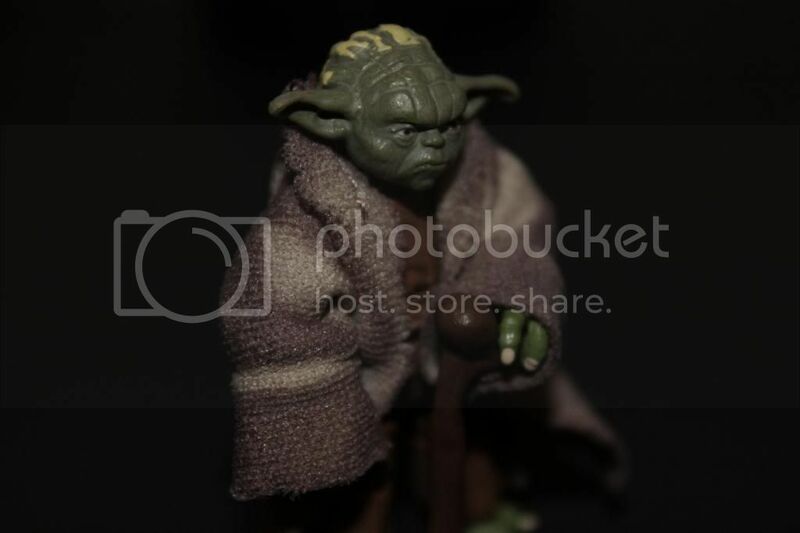 A monster has Dooku become, willing to drag the galaxy to war.”, Yoda answers looking as if the weight of the entire galaxy rested upon his tiny shoulders. 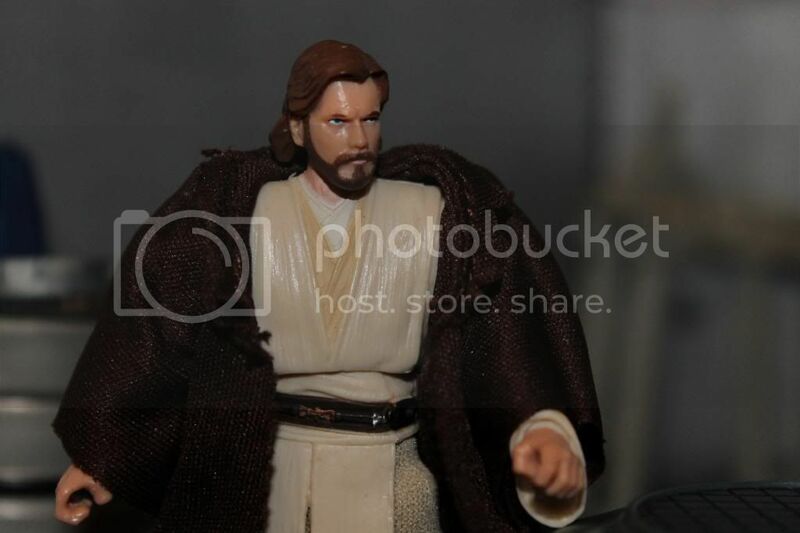 “The burden is not your’s Master, Dooku choose his path, a path corrupted and twisted by his Sith Master.”, Obi-Wan comforts. 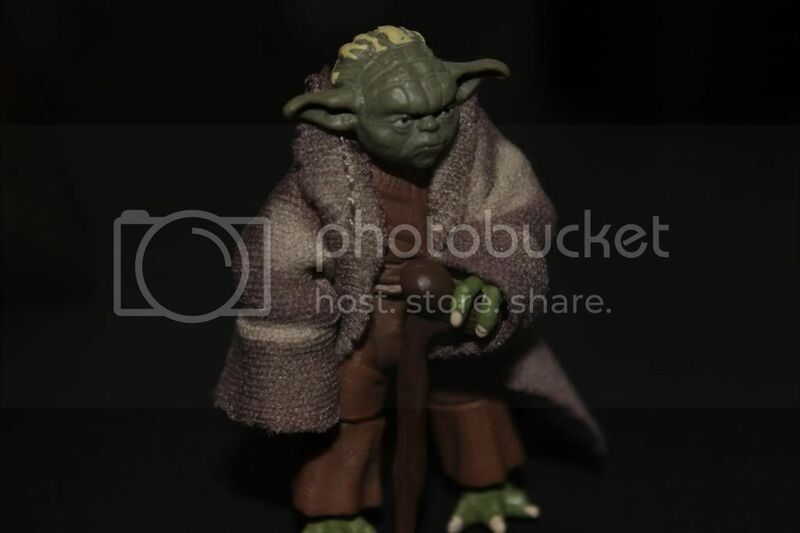 “But who is this Sith Master?.”, Yoda questions. 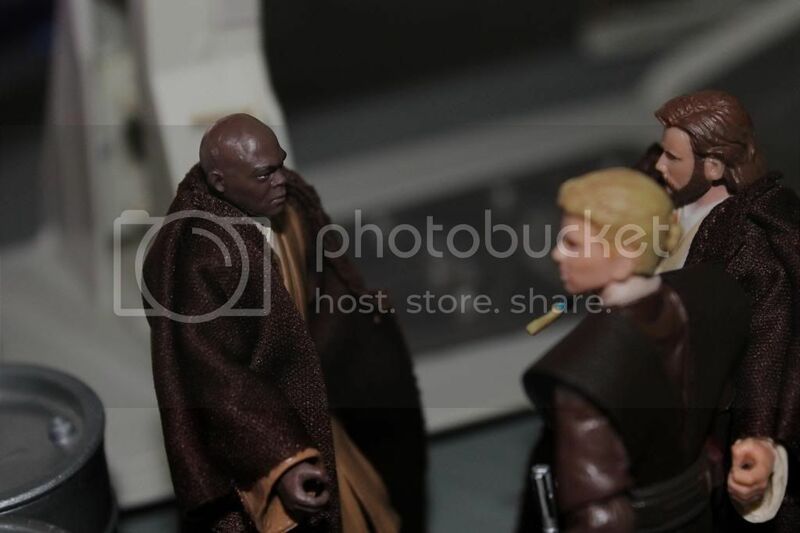 “And how can the Order best combat him?”, adds Windu..
Recalling their conversation in the Council chambers following Geonosis Obi-Wan begins, “I have been contemplating that... I believe our best course of action is inaction. Be patient, wait for the second Sith or his minions to misstep and then move quickly and decisively to ensure he never again threatens the Republic.”. 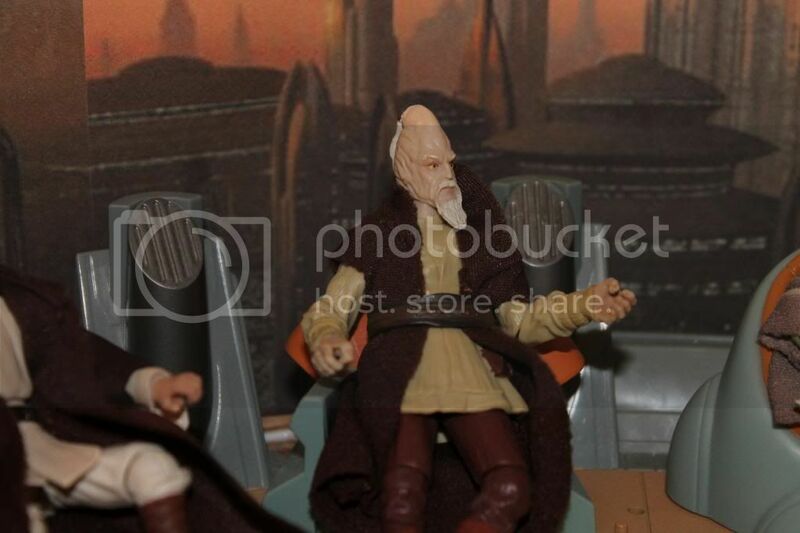 “And what if told the truth did Dooku and already infiltrated the Republic has the second Sith?”, questions Yoda. 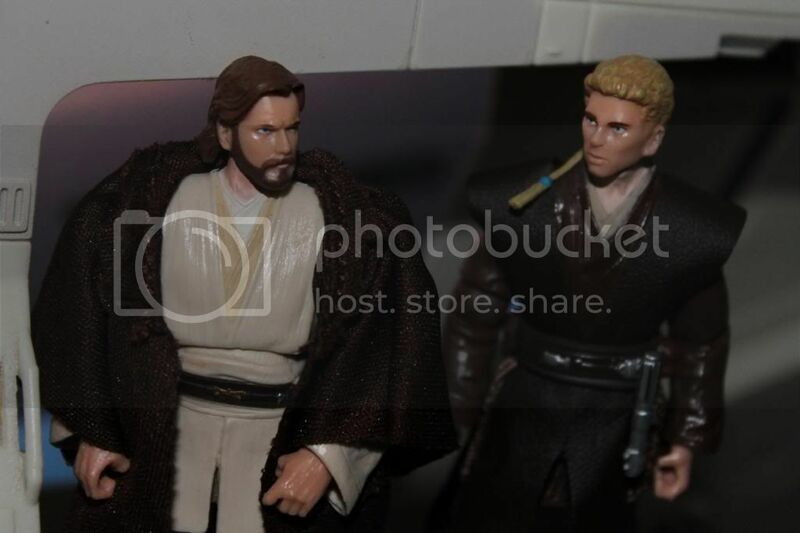 "Than our best course of action is to play Dooku’s game and wait for light to shed on this darkness.”, Kenobi replies. “A dangerous game is this. Learned we have from a source in the Senate that more emergency powers will the Chancellor be assuming and with them appoint the Jedi as Generals of this new Grand Army he will. 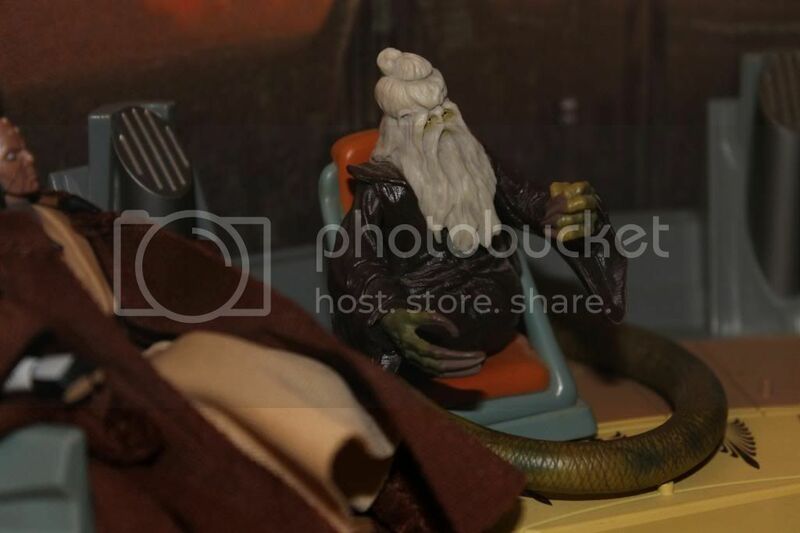 Your opinion on this would I value Master Kenobi.”, Yoda inquires. Taken aback Obi-Wan answers, “Surely this is a matter for the Council to decide.”. 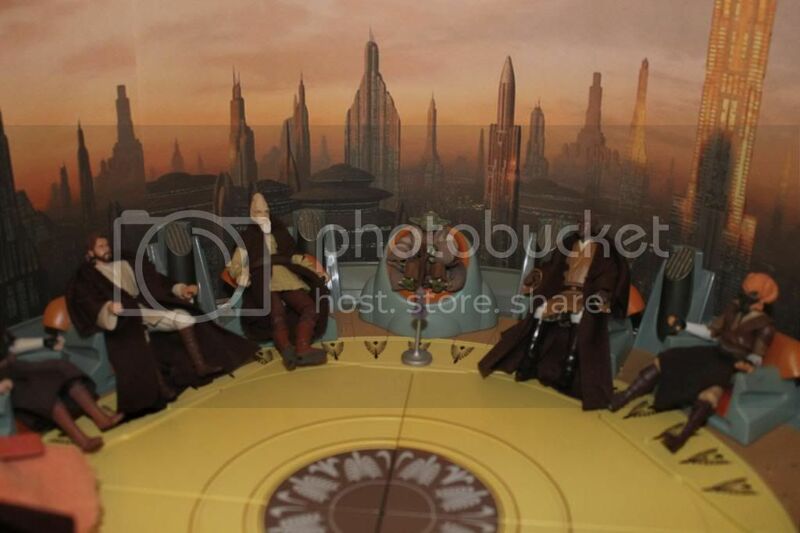 “Obi-Wan, the Council would like to extend you an invitation to join as a lifetime member. 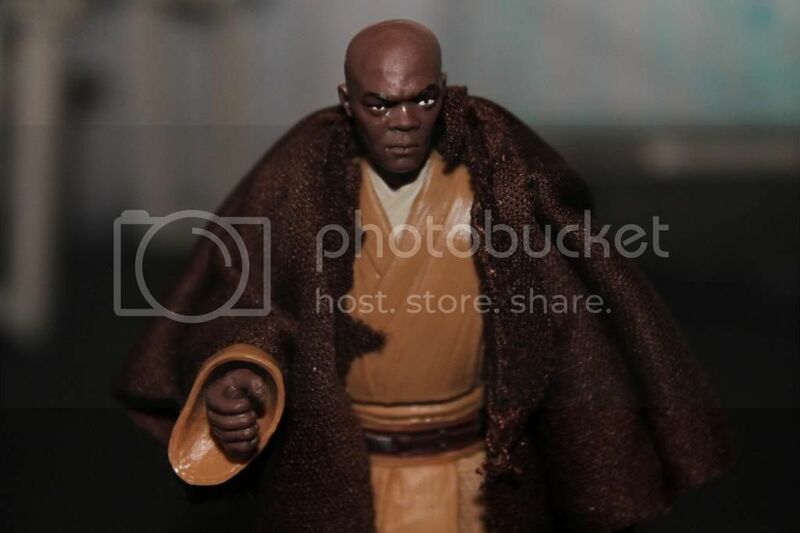 You have proven you are wise beyond your years and a committed servant of the force.”, Windu explains a rare smile flashing across his face, “With Depa gone we need you more than ever.”, he continues, all trace of the smile erased from his grave features. 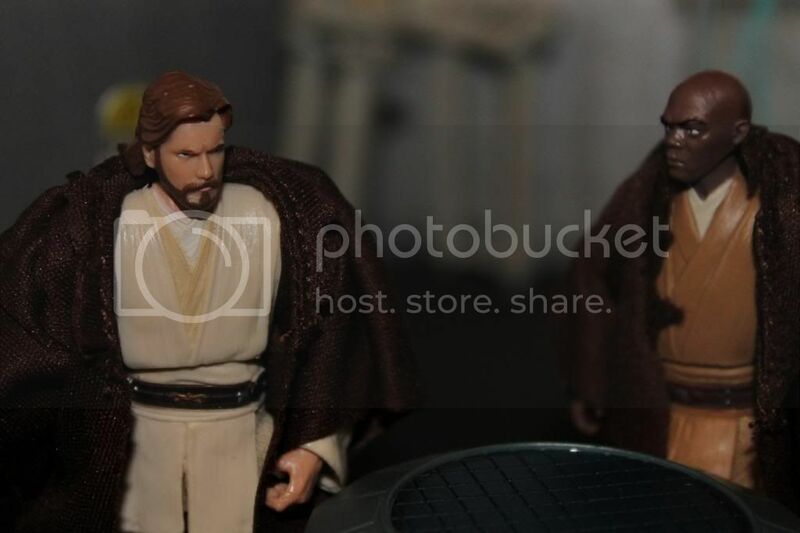 Stunned Obi-Wan stammers, “I...I don’t know what to say... I am honored.”. 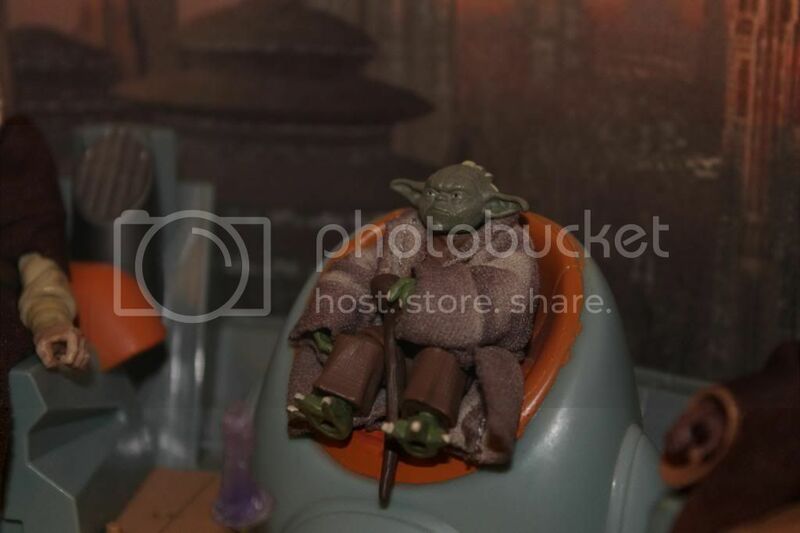 “Proud would Qui-Gon be, but always knew this day would come did he.”, Yoda shares, pride gleaming from his own eyes. 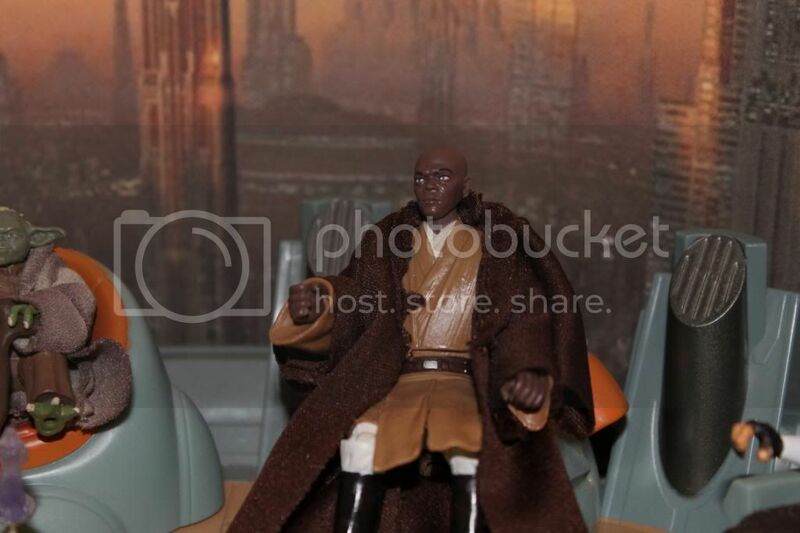 “Only the three of us know of the Chancellor's plan.”, Windu reveals,“If we present an united front before the rest of the Council they will agree to support the war.”. 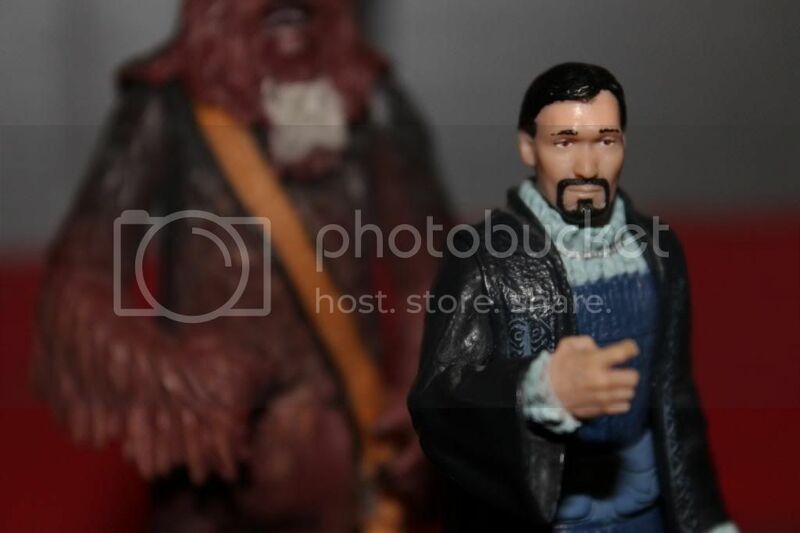 Obi-Wans pauses a moment, feeling the full weight of this momentous decision. Finally, he answers, “I understand Master. It is the only way to restore peace and uncover the second Sith.”. “Than agreed we are.”, Yoda sighs deeply, “Recall all Jedi to the Temple will I, sequestered must the Order be to make this decision.”. 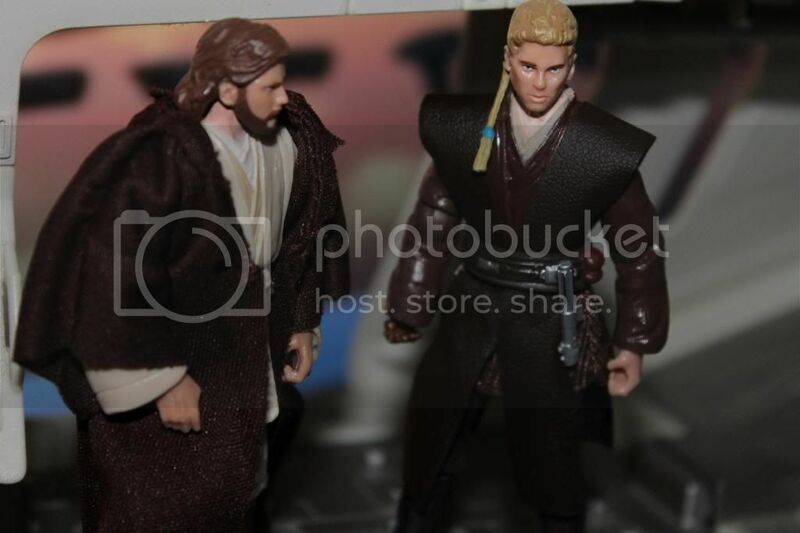 Obi-Wan nods in agreement, adding, “Anakin returns from Naboo with Senator Amidala today, I will personally return him to the Temple.”. 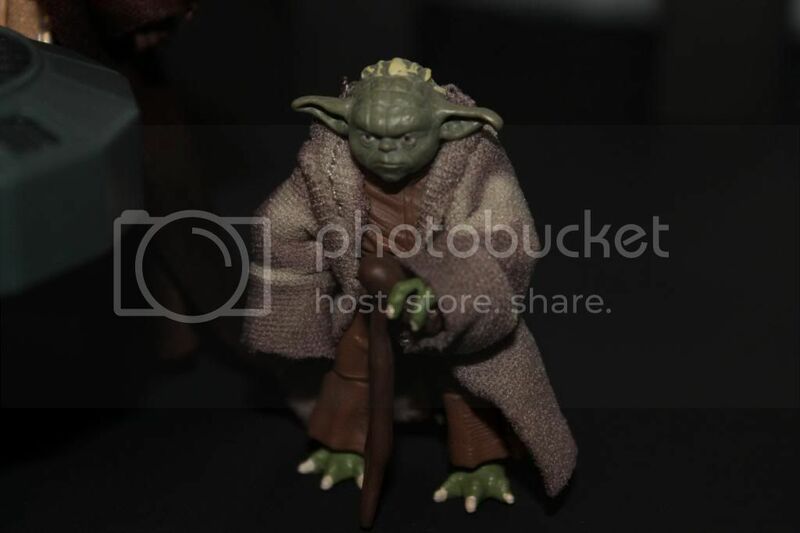 Yoda leans upon his ancient gimmer stick and concludes, “Good, may the Force be with us all.”. “Nubian Starship Angel you are cleared to land.”, bursts a rough voice over the comm of Padme Amidala’s luxury Starcruiser. 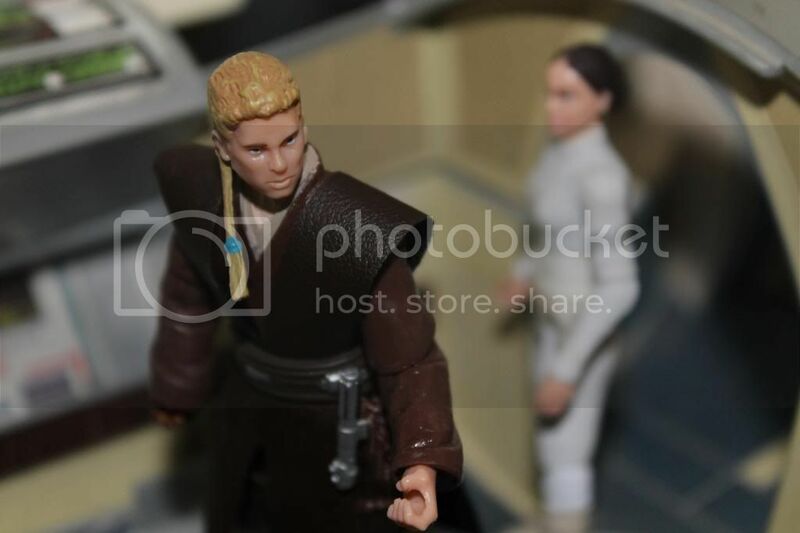 “Well that’s quite a welcome home.”, cracks Anakin Skywalker, Jedi Padawan and recently married husband to Senator Amidala. 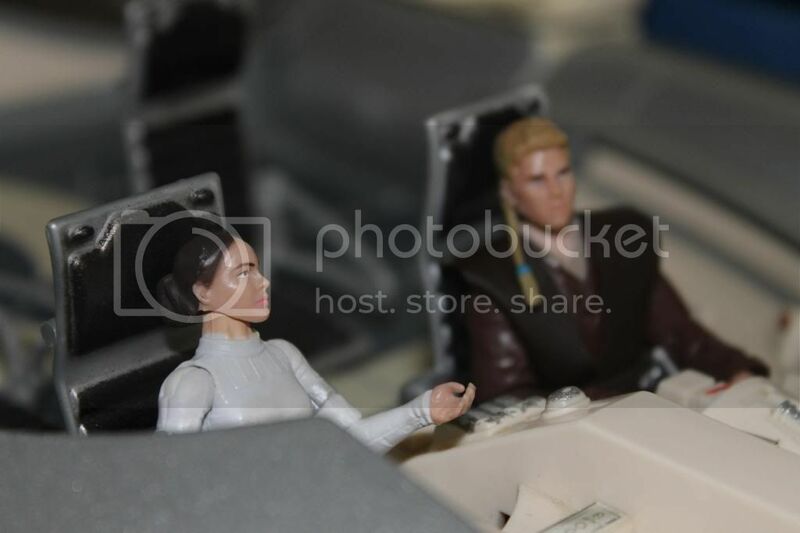 “They’ve had to tighten security since we were last on Coruscant, we are at war Annie. I don’t know if it will ever feel like home again.”, Padme sadly observes. Anakin rises as the ship sets down on the landing pad. 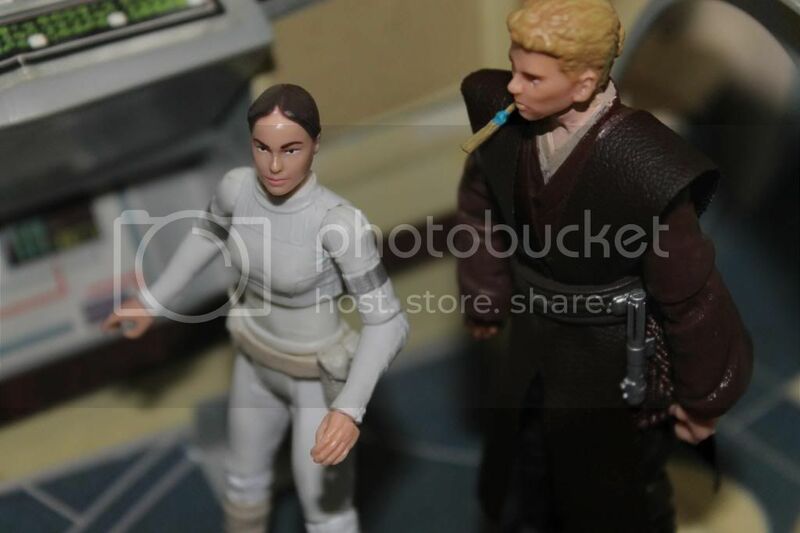 He grips Padme’s hand tightly within his own and shares, “My home is wherever you are. It always has been.”. 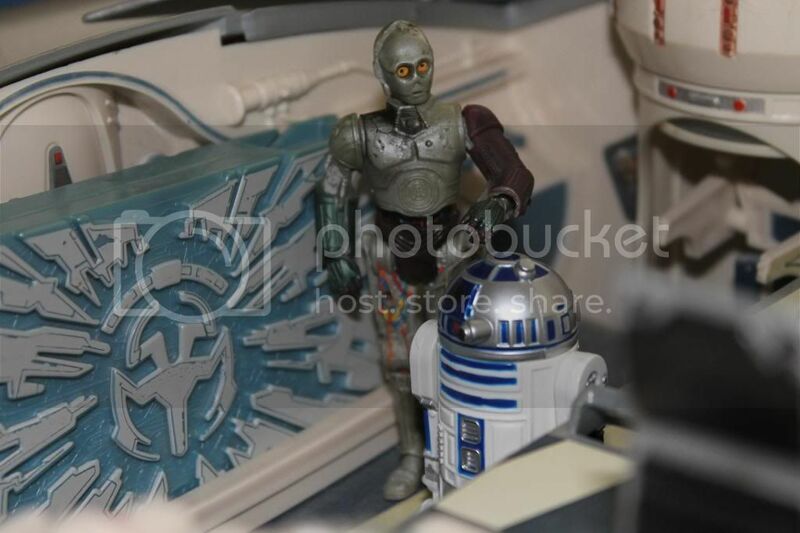 R2-D2 beeps affectionately, prompting his counterpart C3PO to answer, “No, I do not think it is at all romantic. 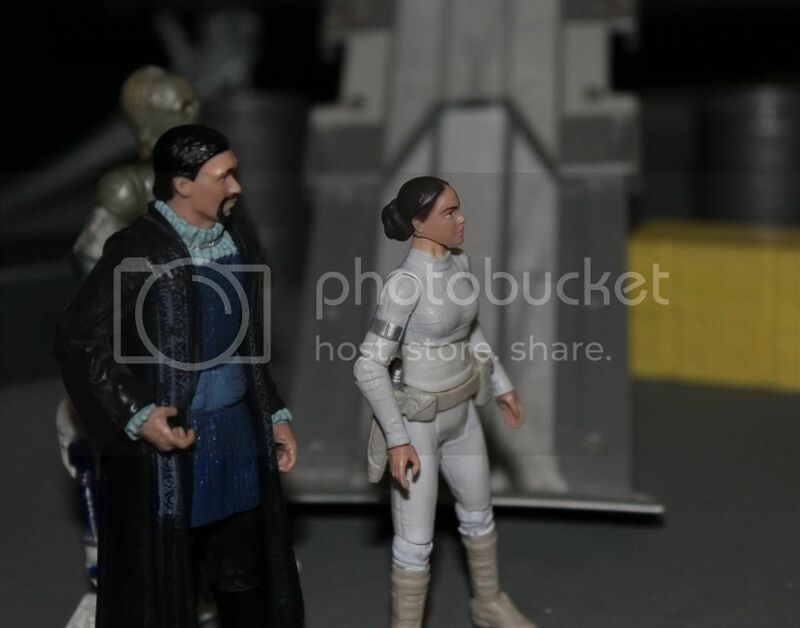 There’s bound to be trouble, haven’t you noticed Senator Organa and Master Kenobi are waiting outside?”. 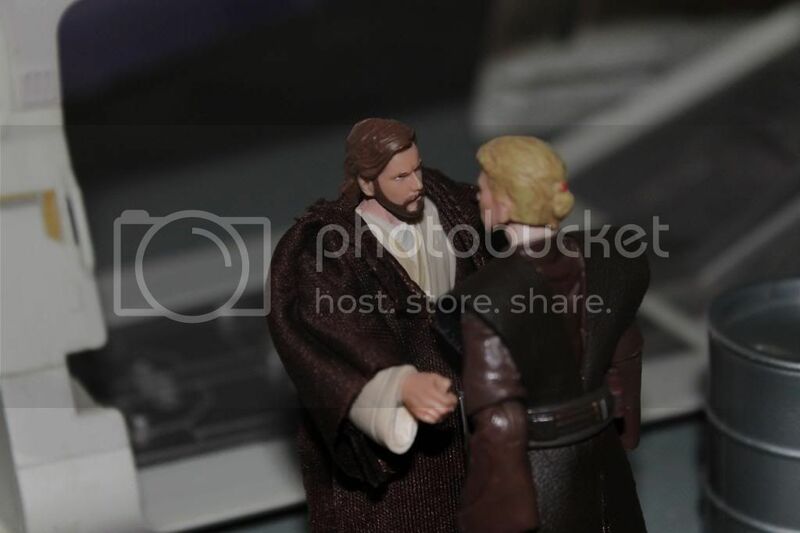 Anakin smirks and assures, “We have nothing to hide. 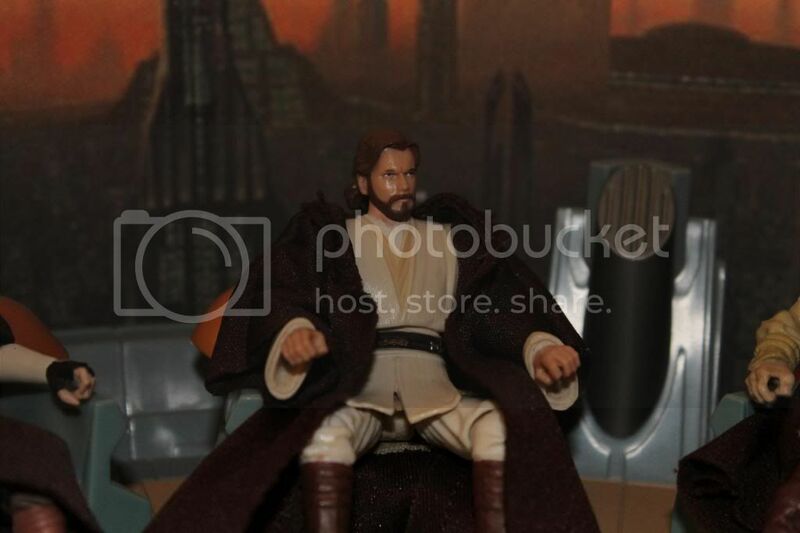 I was merely escorting you to Naboo and back to Coruscant. 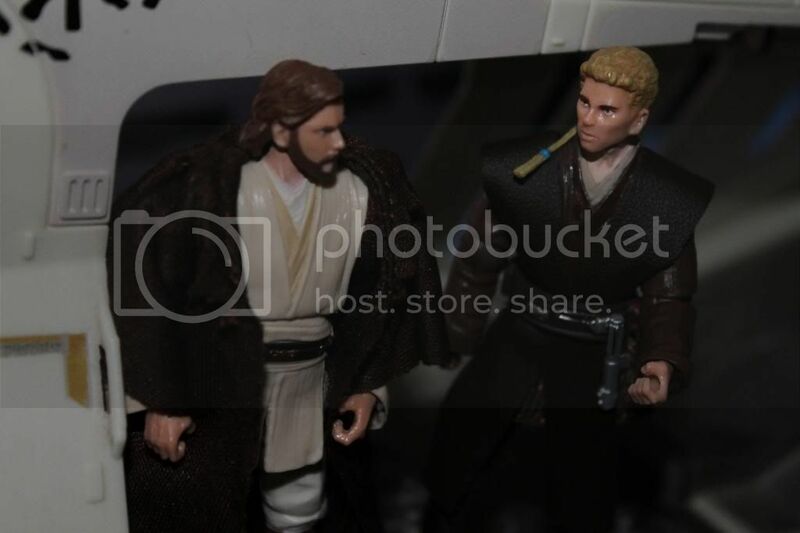 Now I’ll just have to tell Obi-Wan you are still in grave danger and I am compelled to continue to protect you.”, as he begins to strut towards the landing ramp. 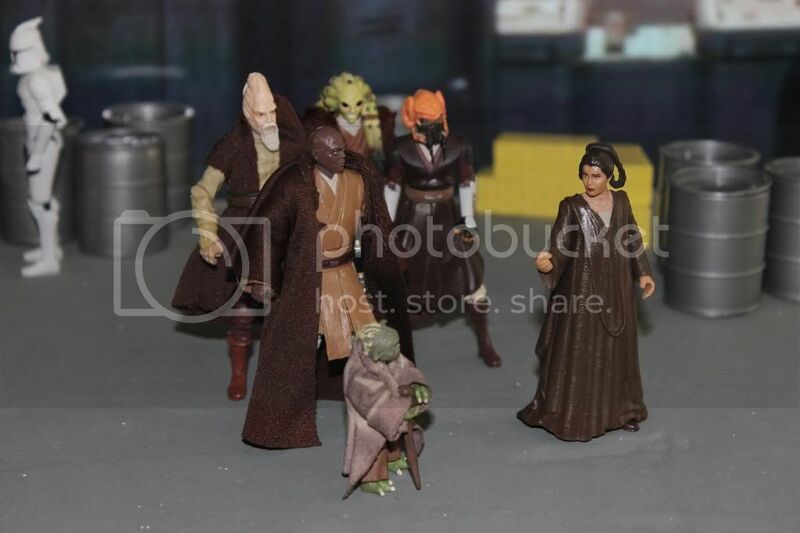 The group hesitantly follows Anakin down the ramp coming to a stop in front of Kenobi and Organa. 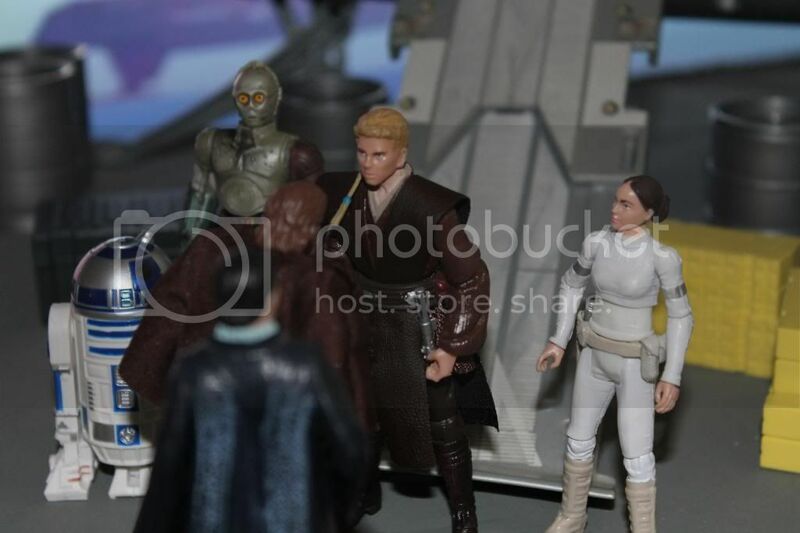 Speaking before Skywalker has a chance to begin his explanation, Obi-Wan greets, “Welcome home Senator Amidala. 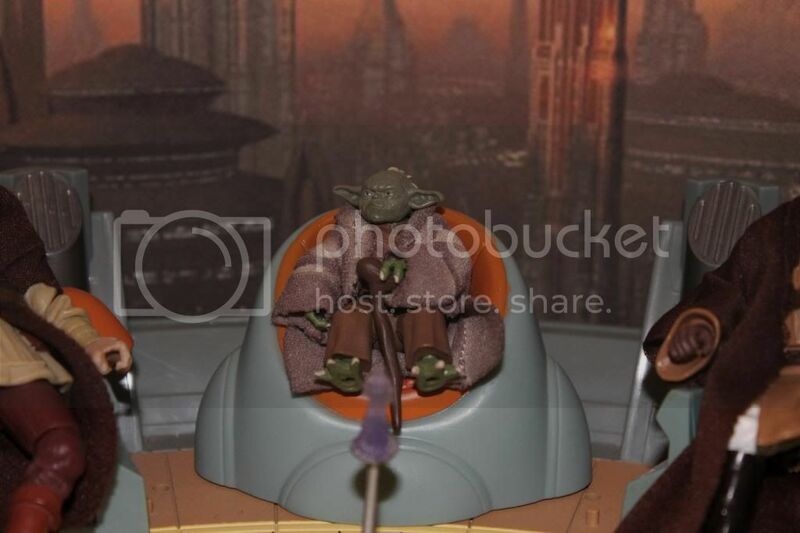 Anakin, Master Yoda has recalled all Jedi to the Temple we are to return at once, there is much to discuss.”. 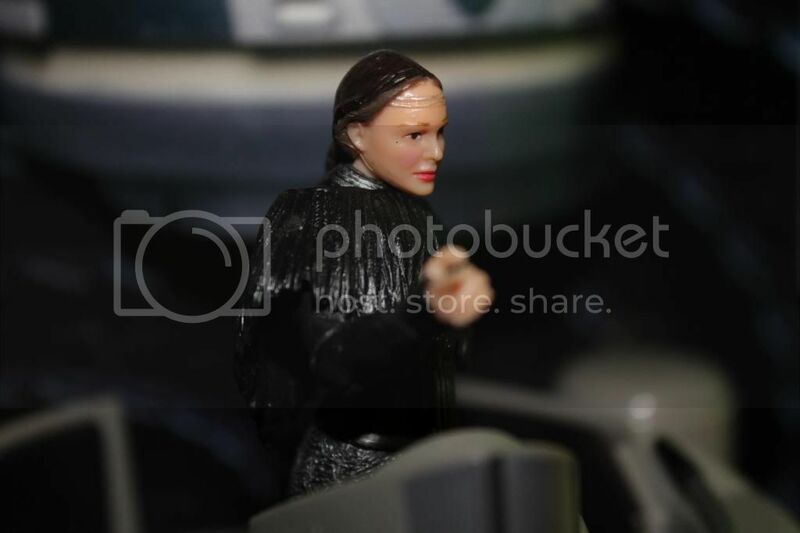 "But Master Senator Amidala-”, Anakin starts. 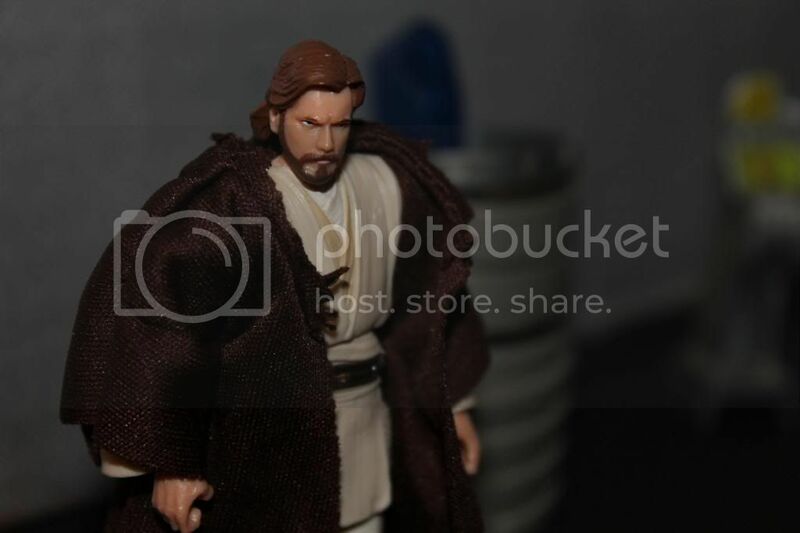 “Is no longer your concern.”, Obi-Wan reprimands.“Come, we cannot afford to delay any longer. 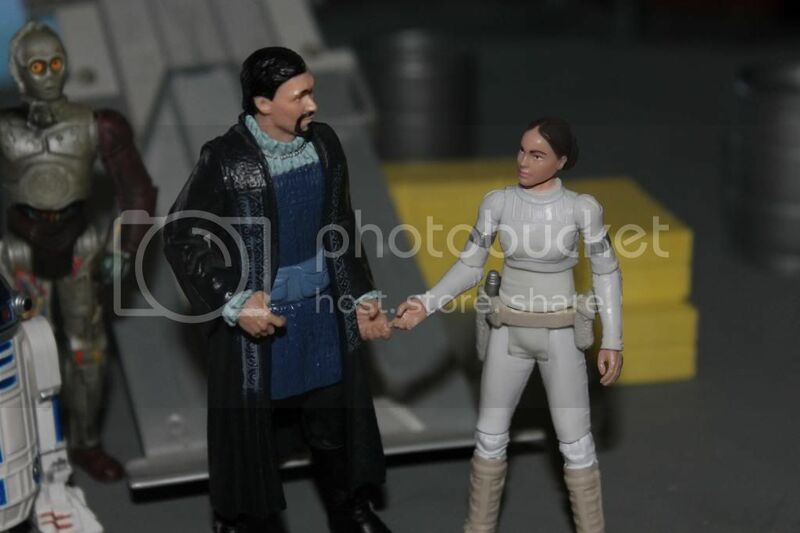 Good day Senators.”, concludes Kenobi with a nod to Organa and Amidala. 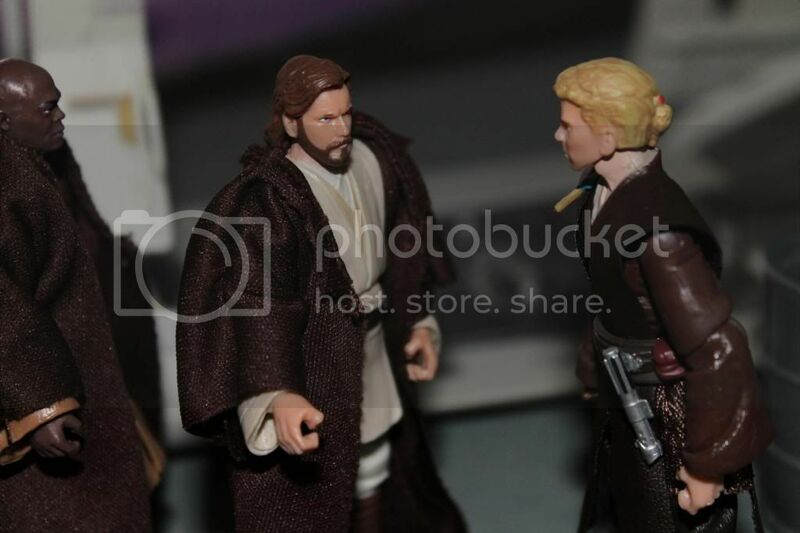 Unable to betray their secret love Anakin is forced to depart with Obi-Wan, leaving his new wife with nothing but a longing stare. 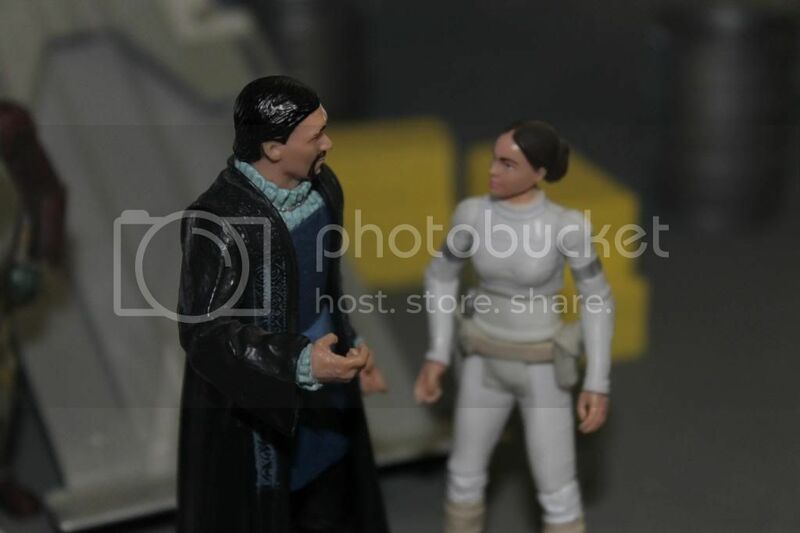 As the Jedi withdraw Senator Bail Organa warmly welcomes, “It is good to see you Padme, thank the Force you survived Geonosis.”. Regaining her composure Padme smiles and replies, “Thank you Bail. 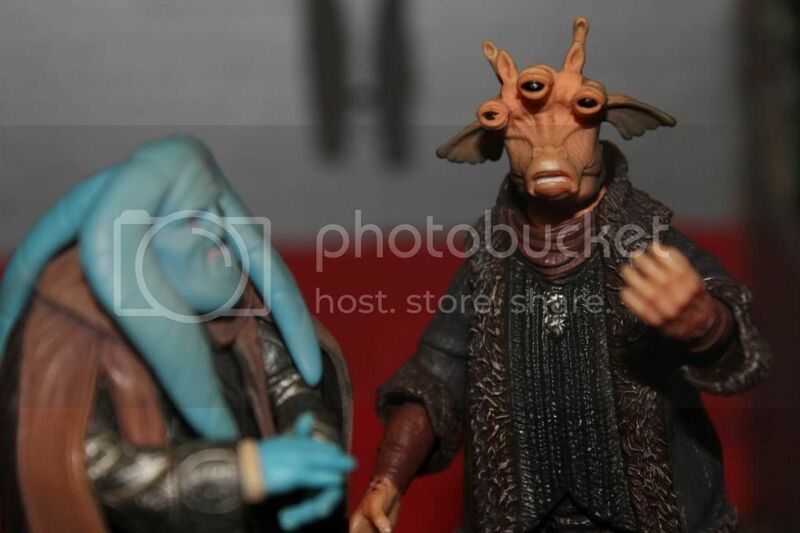 Without the Jedi I fear I would have never escaped Gunray’s wraith.”. “Indeed,” Bail agrees continuing, “We need the Jedi now more than ever. 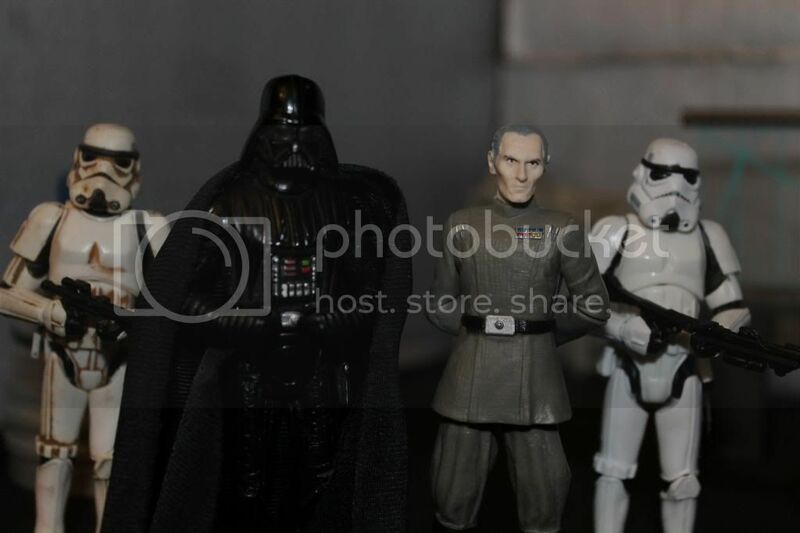 The Chancellor and I believe they are the key to our victory over the Separatists.”. “A sentiment I wholeheartedly share.”, Padme agrees. 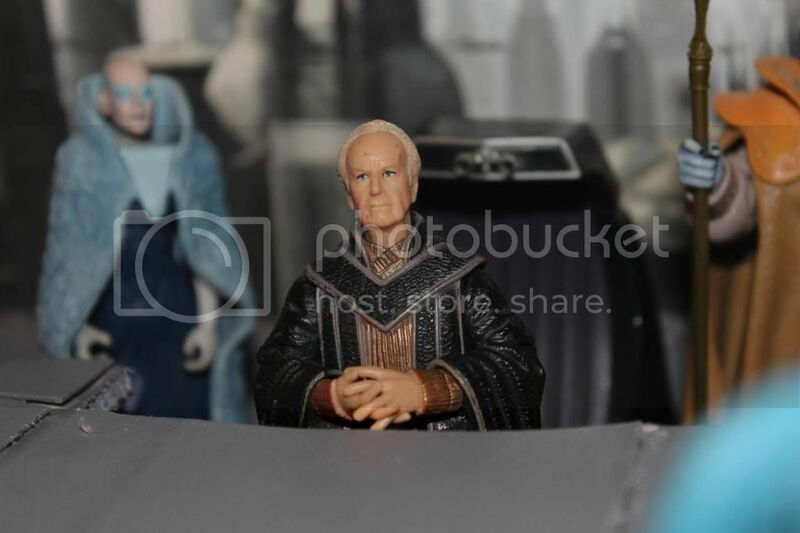 “The Chancellor and I rather hoped you could bring a measure before the Senate granting him the power to appoint the Jedi as Generals of our new clone army.”, Bail shares. “Gladly.”, Padme answers without hesitation as she watches Anakin slowly disappear into a waiting gunship, “They are our only hope.”. 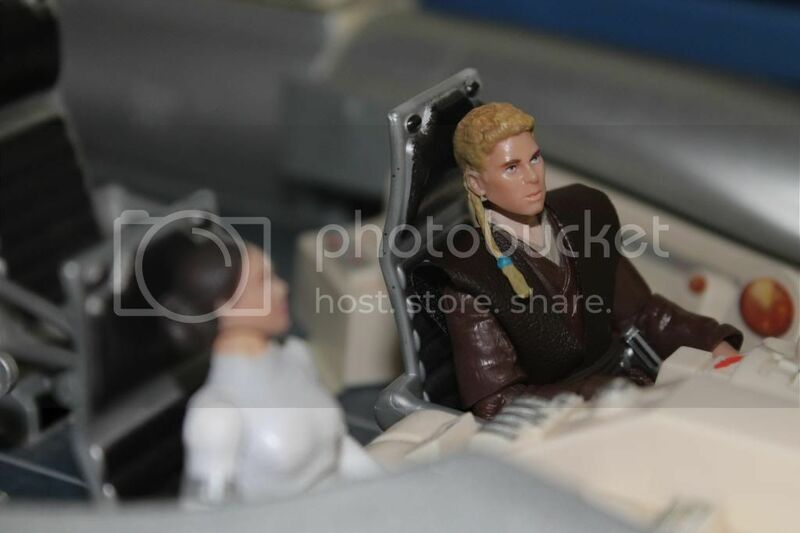 As the gunship rises over the landing pad Anakin stares at his wife, oblivious to Obi-Wan’s notice. 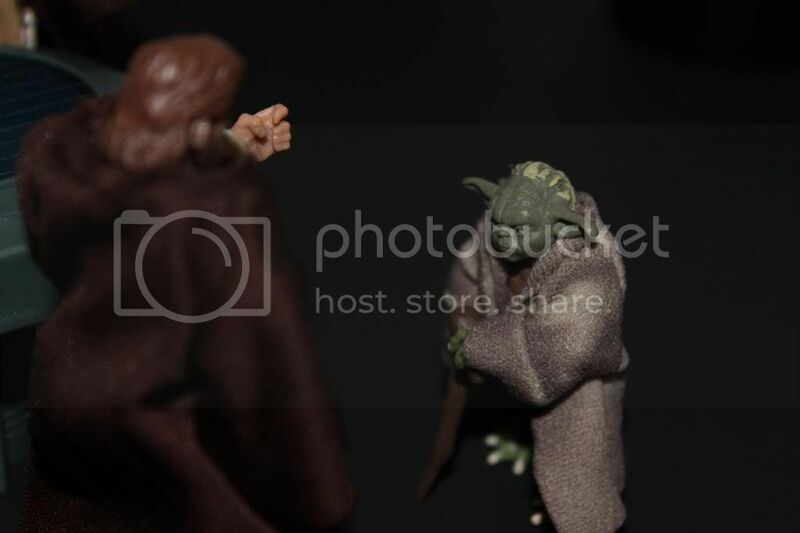 “Your thoughts betray you my padawan. You must accept that so long as you are a Jedi you and Padme can never be together. 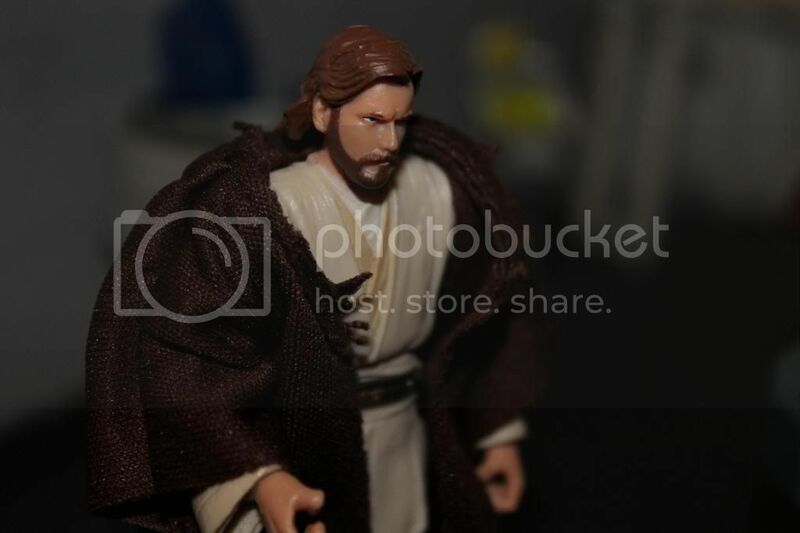 With the coming war it is all the more important we are without attachment and committed to serenity.”, Obi-Wan lectures. 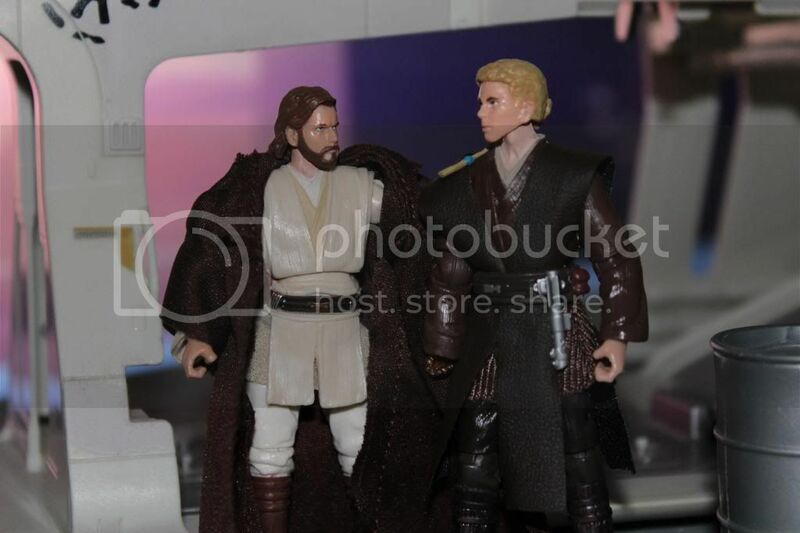 “With the coming war it is all the more important to know what we fight for!”, Anakin spits back. 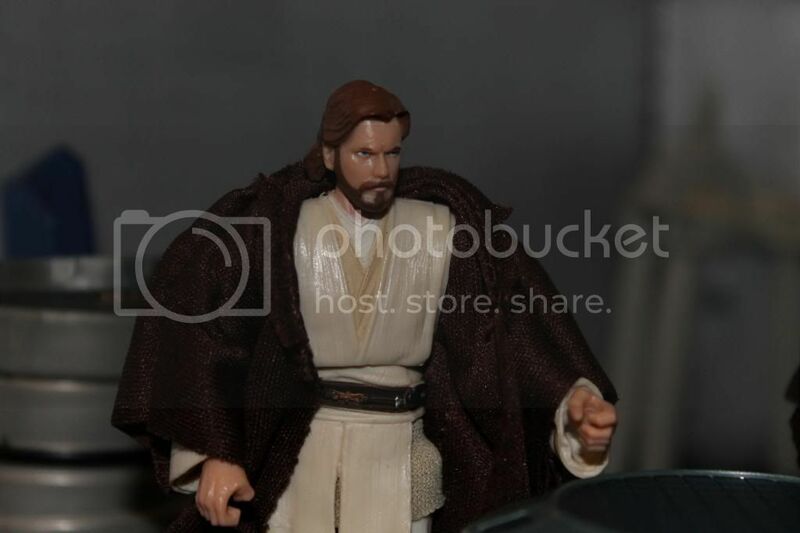 “I fight for the Republic and the Jedi Order, it is time to ask yourself if you do.”, Obi-Wan hotly replies. 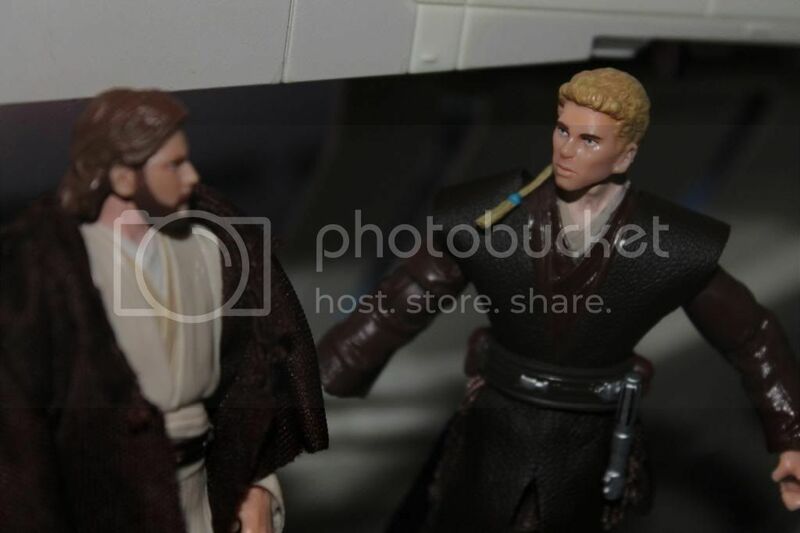 “You are not all knowing Obi-Wan!”, Anakin yells at his Master. 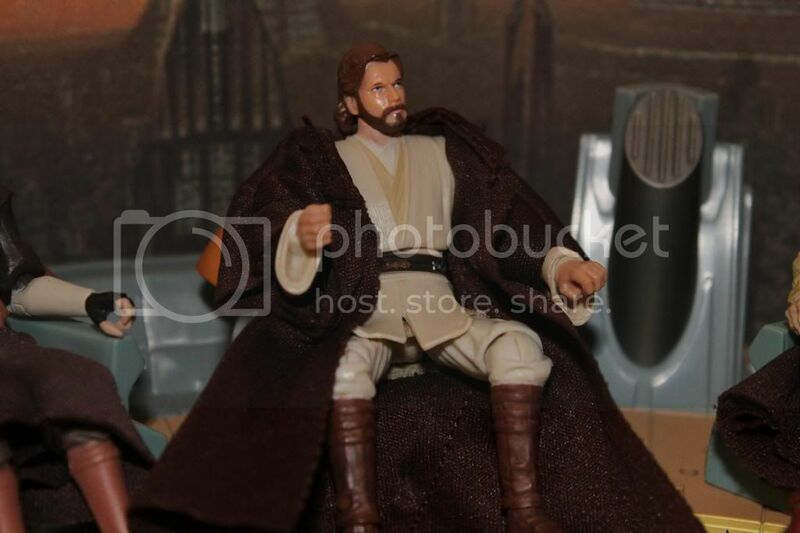 “No, but I do know enough to be appointed to the Council.”, Obi-Wan observes. 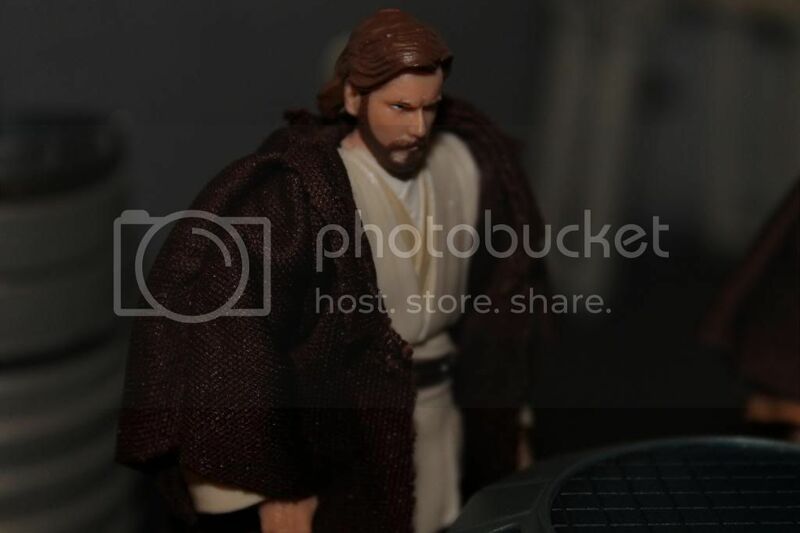 Anakin stares at his Master, clearly stunned. “I... I... Congratulations...”, he stumbles. 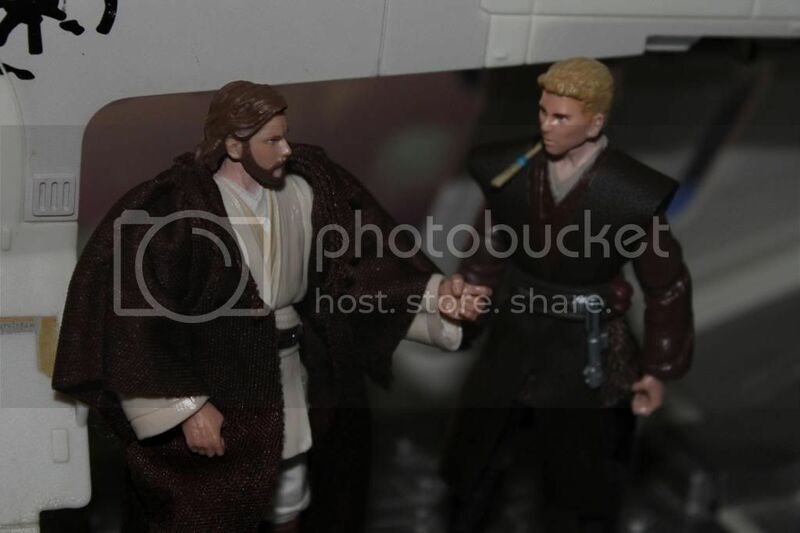 “Thank you.”, Obi-Wan sighs smiling , “I really should thank you. Training you was the greatest trial I’ve ever faced.”. “Even worse than that nest of Gundarks?”, Anakin questions, smiling for the first time since leaving his wife’s side. “Even worse than that nest of Gundarks.”, Obi-Wan laughs as the gunship sets down at the Jedi Temple, its doors swinging open. 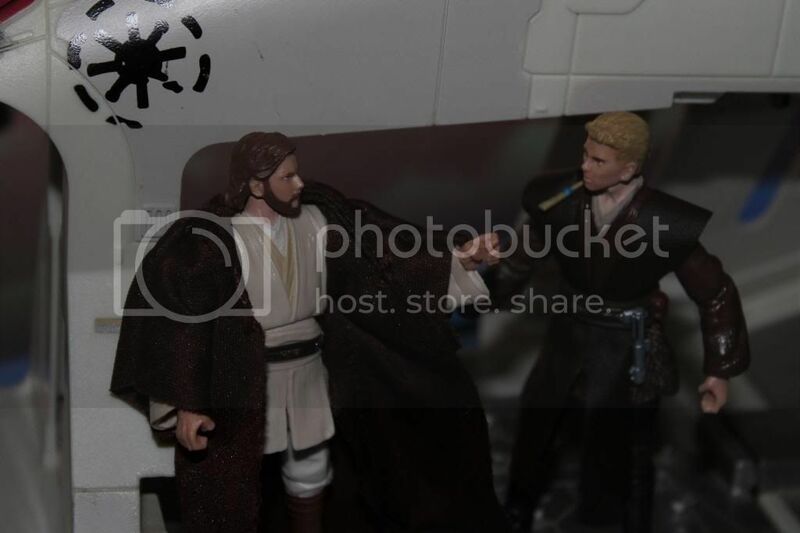 As they disembark Obi-Wan grabs Anakin and faces him. 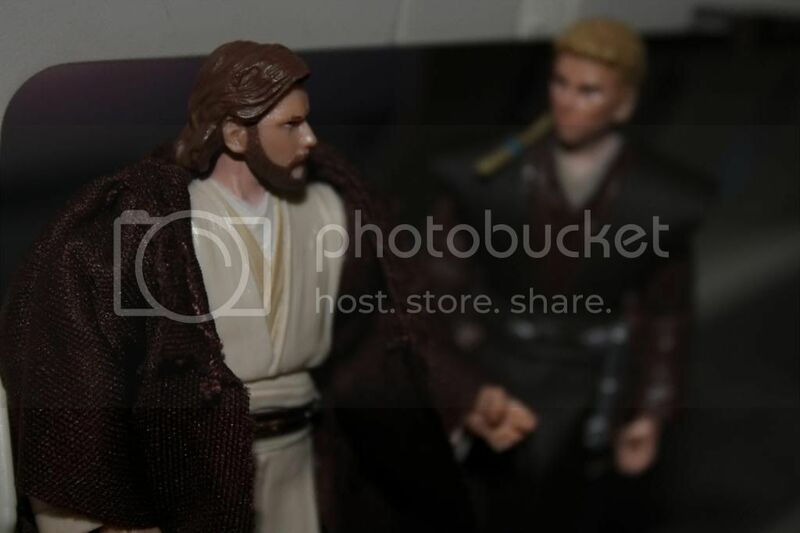 Staring into his padawan’s eyes Obi-Wan confides, “I know what you are feeling, I truly do. I only remind you of our Order’s code to save you the heartache that breaking that code once caused me.”. 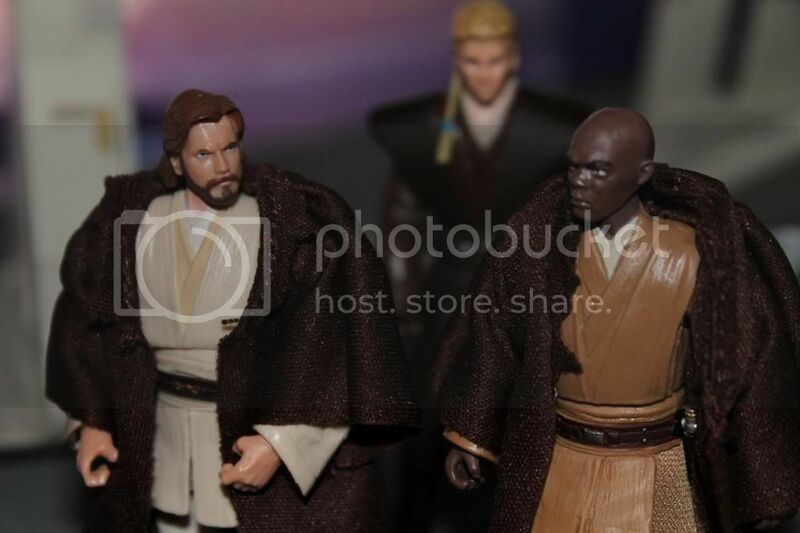 Appearing beside them Master Windu gently insists, “Obi-Wan the Council is about to convene, we must go.”. “You will do what is right. You always have, even when you were nothing more than a nine year old boy enslaved on Tatooine. 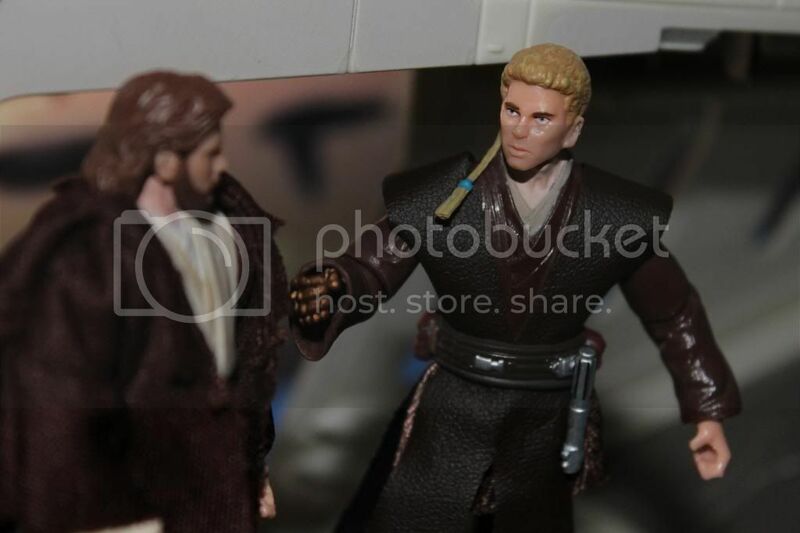 It is one of your greatest strengths.”, Obi-Wan concludes, breaking away from his padawan. Leaving Anakin with more questions, and guilt, than ever. 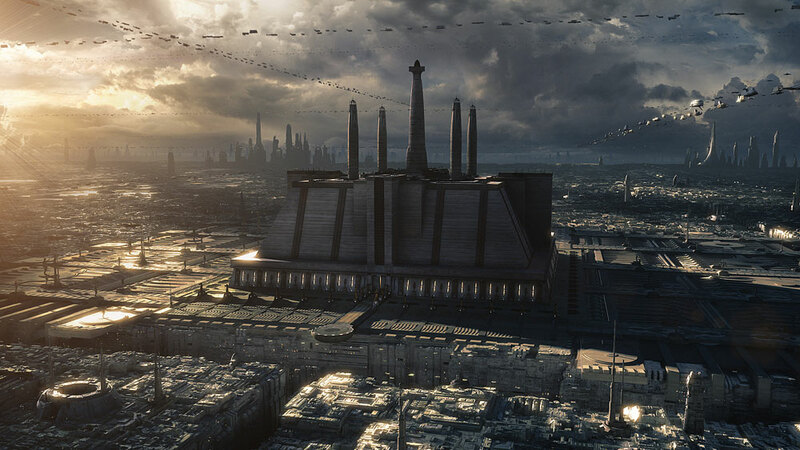 The Galactic Senate, designed as place for peaceful civil discourse, today is a thunder with debate as Senators analyze the new Clone War. “Warmongering industrialists such as you are to blame for this war!”, Senator Terr Taneel accuses the Neimoidian delegation. “This is outrageous! 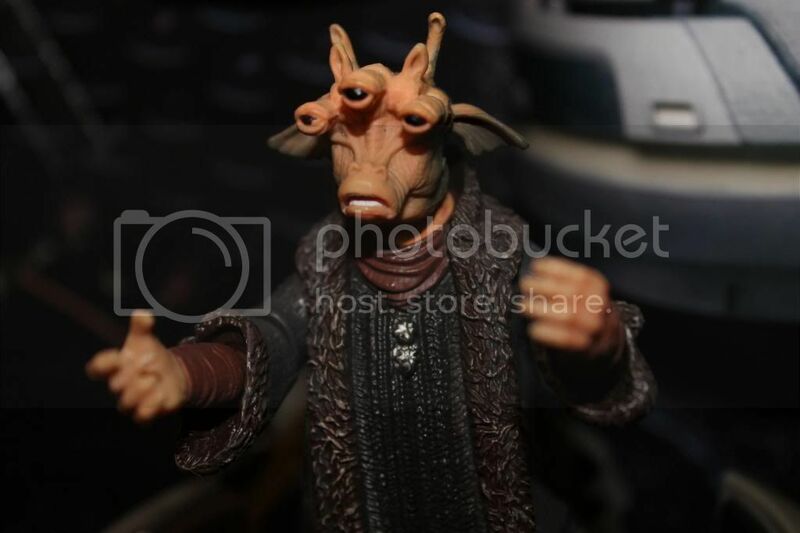 Nute Gunray is a radical extremist, yet his actions can hardly be villainized due to your refusal to renegotiate the taxation of the Outer Rim!”, Senator Lott Dodd of the Trade Federation fires back. And Dodd trading insults and vulgarities. “Order! 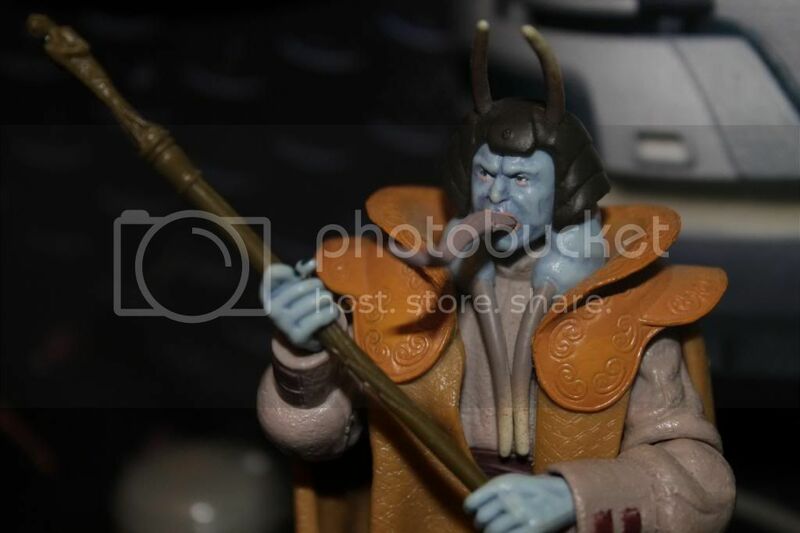 We will have order!”, Senate Speaker Mass Amada cries, hissing his forked tongue and brandishing his massive Speaker’s Staff. 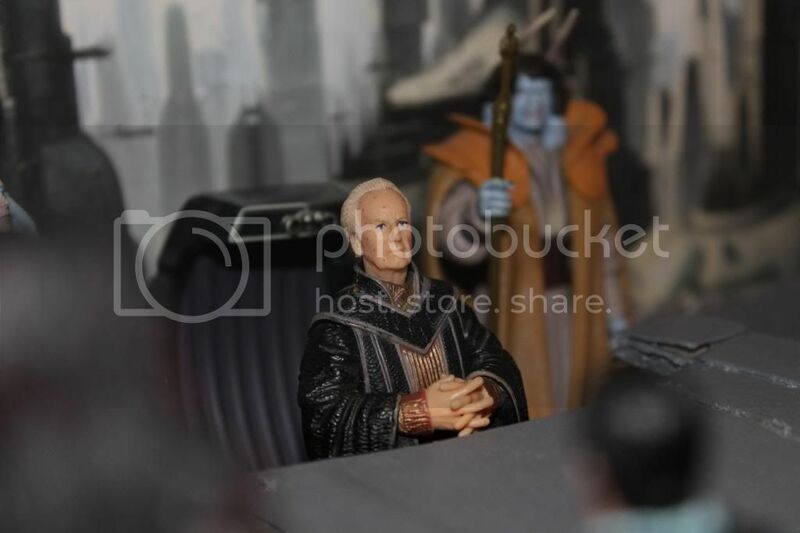 “The chair is pleased to recognize Senator Padme Amidala of Naboo.”, Palpatine booms into the relative silence brought by Amada. “Your Excellency, honored Senators.”, Padme begins with the eyes of the galaxy upon her, “Today we stand at the beginning of war. A war this body failed to prevent and can hardly be expected to see to victory. 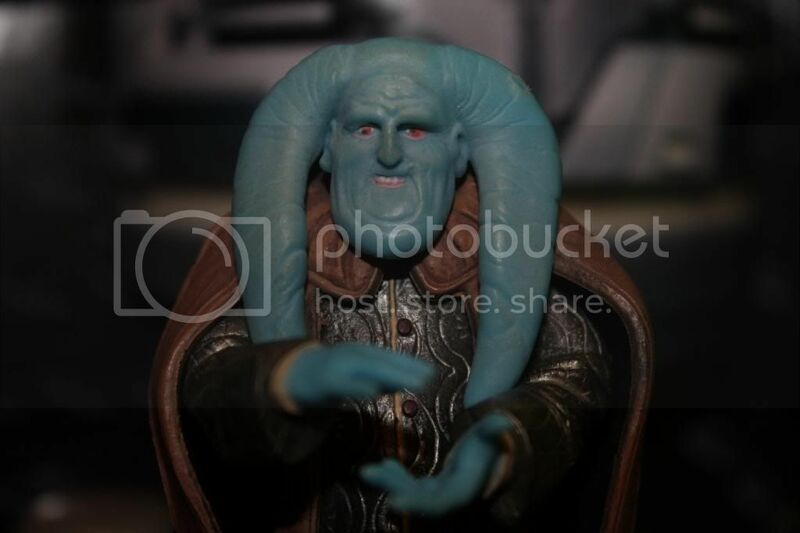 A decade ago my home planet of Naboo faced this same violence, yet this body did nothing to end our suffering. I will not sit by and idly watch as the galaxy is subjected to the same fate.”. 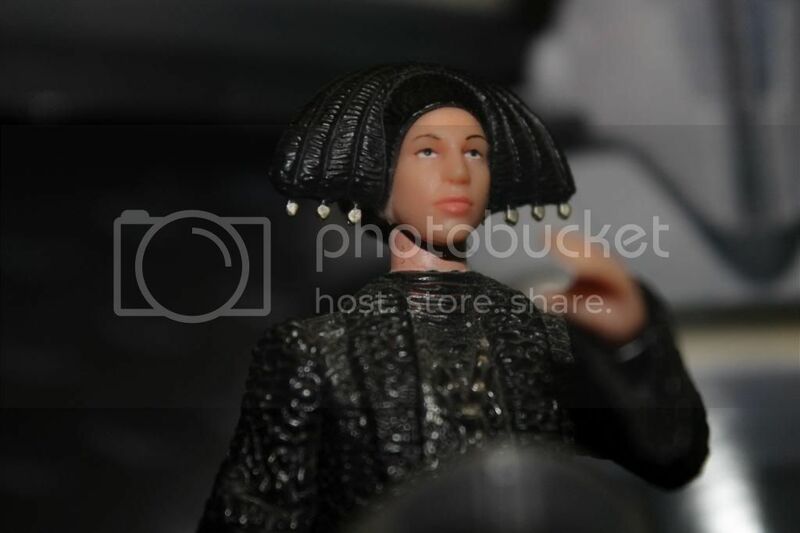 “Therefore, I move that the Supreme Chancellor be immediately granted the authority of Supreme Commander of the Grand Army of the Republic, to serve in the Senate’s place.”, Amidala passionately concludes. 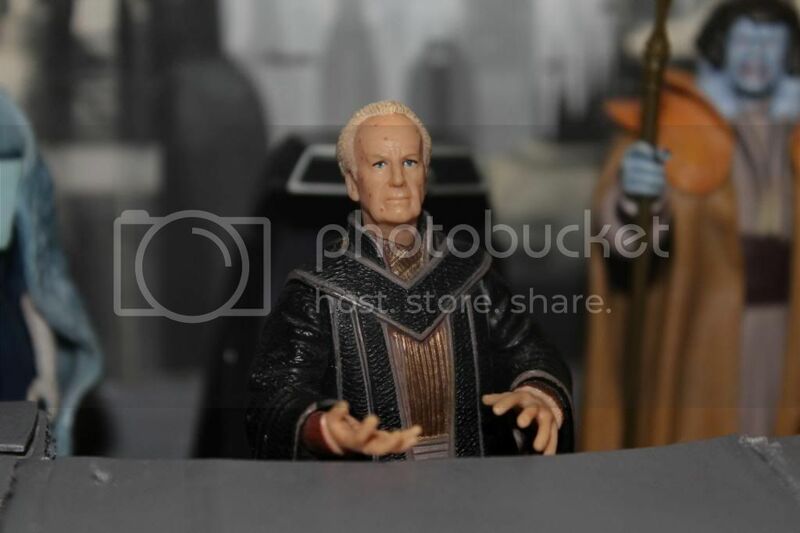 From his box Palpatine watches as the Yea votes flood in, the ghost of a smile glinting across his face for the merest of moments. “I have just received word that the Senate has voted the Chancellor further emergence powers to direct the war. 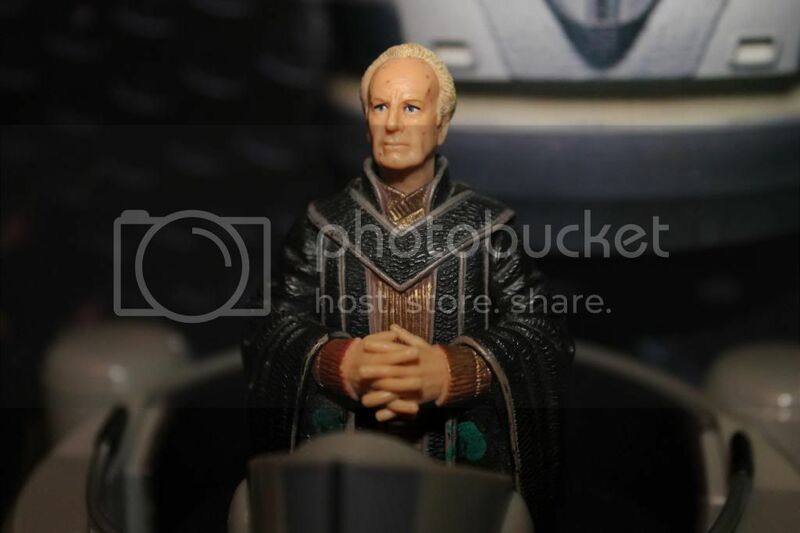 Our source tells me the Chancellor will officially extend the Jedi Council a waiver of the Ruusan Reformation guidelines preventing our Order to serve as an organized military force. 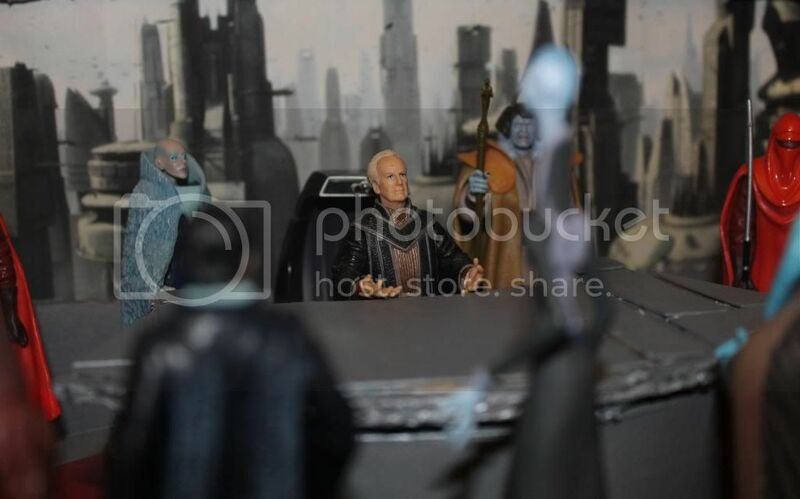 Palpatine is going to request we lead this clone army.”, Master Windu reports. 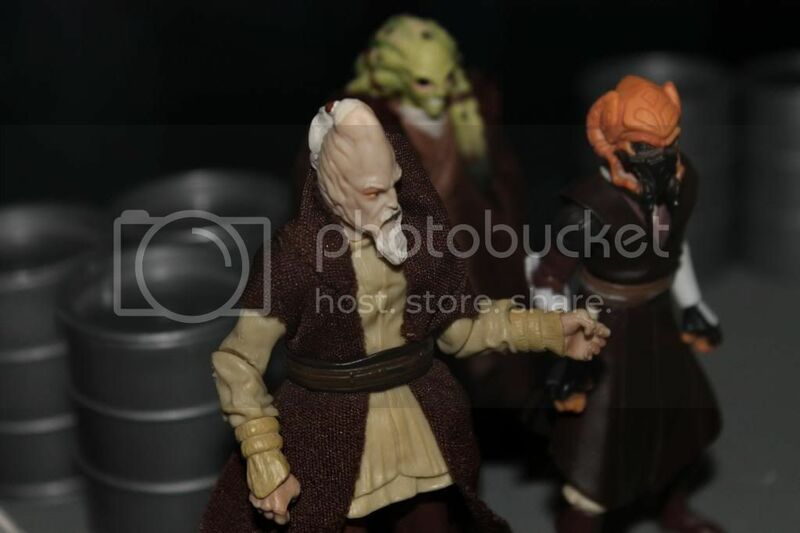 “We are too few to serve as an army.”, cautions Master Ki-Adi Mundi. 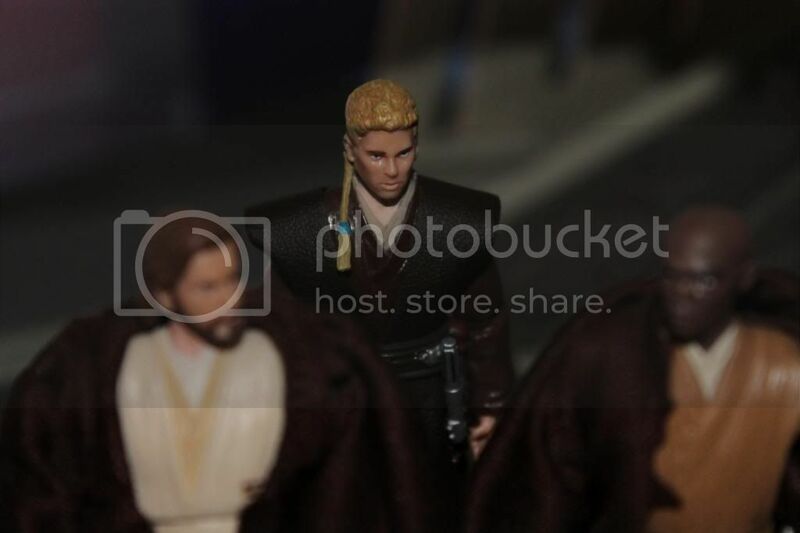 “But not too few to lead an army.”, observes Obi-Wan. 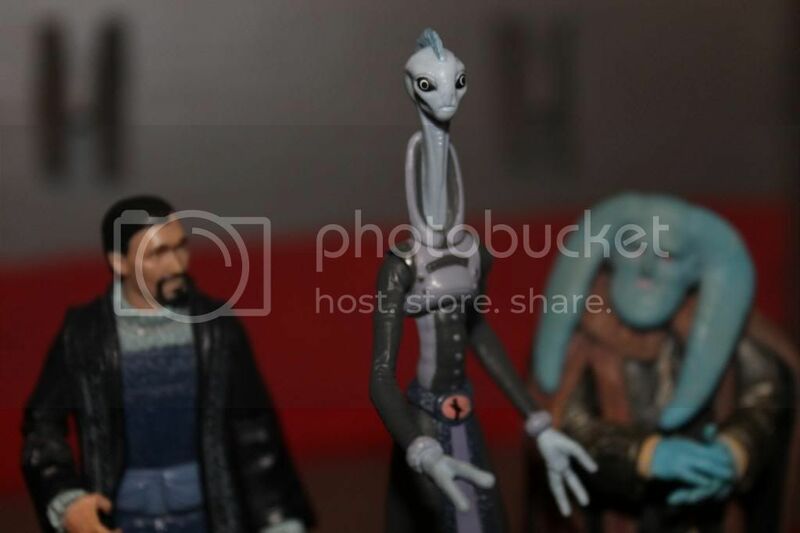 “We are keepers of the peace, not warriors.”, Adi Gallia argues. 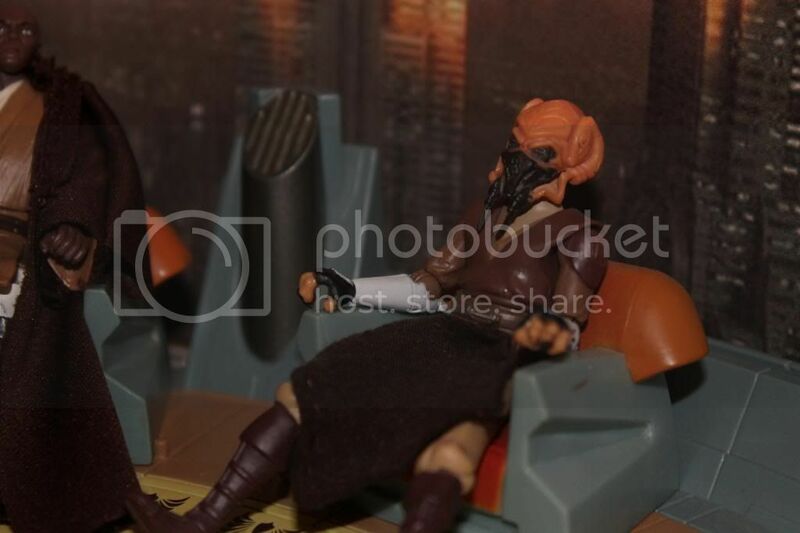 “And how does one keep the peace in a galaxy at war?”, questions Master Plo Koon. 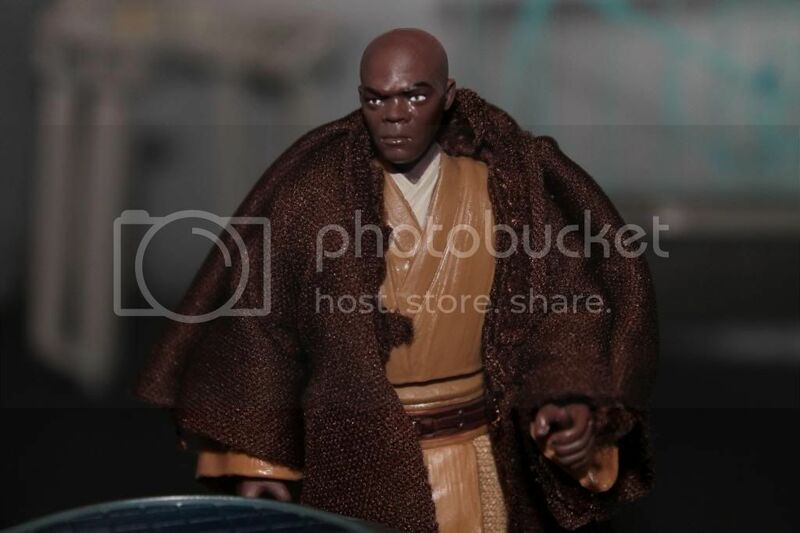 “By ending the war as swiftly as possible.”, Master Windu contends. “Something this Council should know there is. 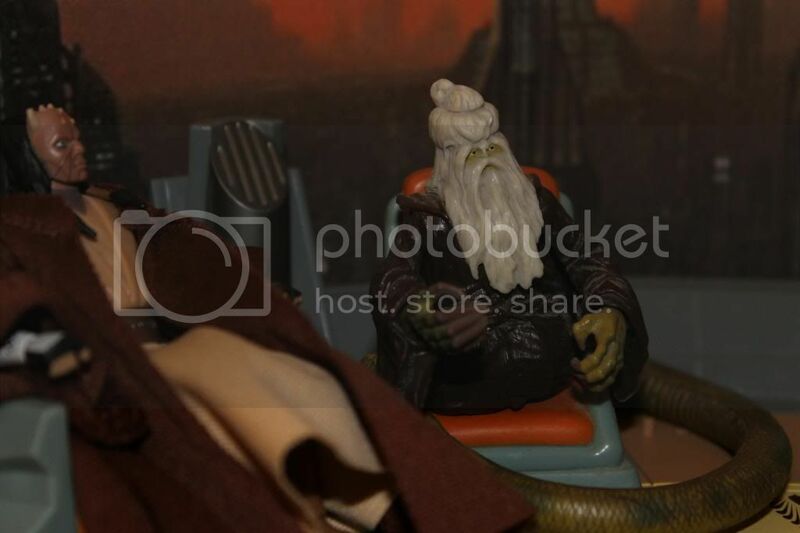 Tell them of Dooku’s revelation Obi-Wan.”, Yoda requests. 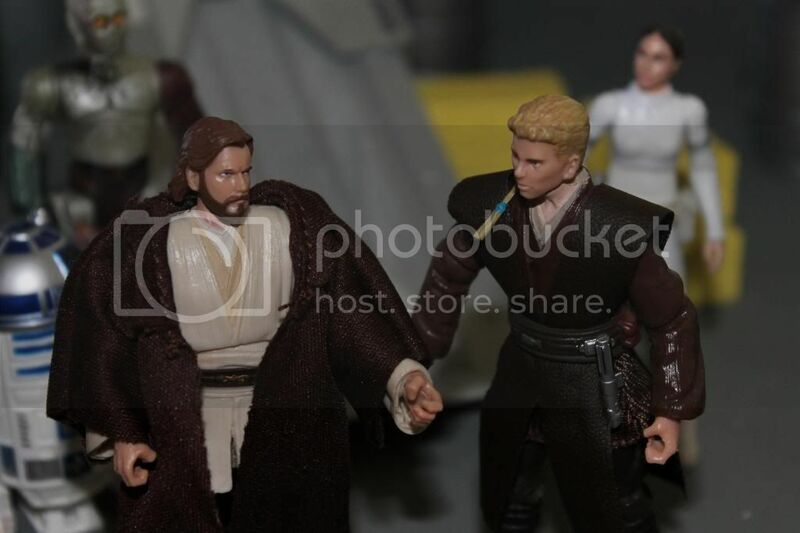 “Yes Master.”, Obi-Wan nods, “While I was captive on Geonosis Dooku warned me that the second Sith, the Master of their Order, has infiltrated the highest levels of the Republic.”. The Council falls silent, shocked by this startling revelation. “This changes everything...”, Master Saesee Tiin gruffly states. 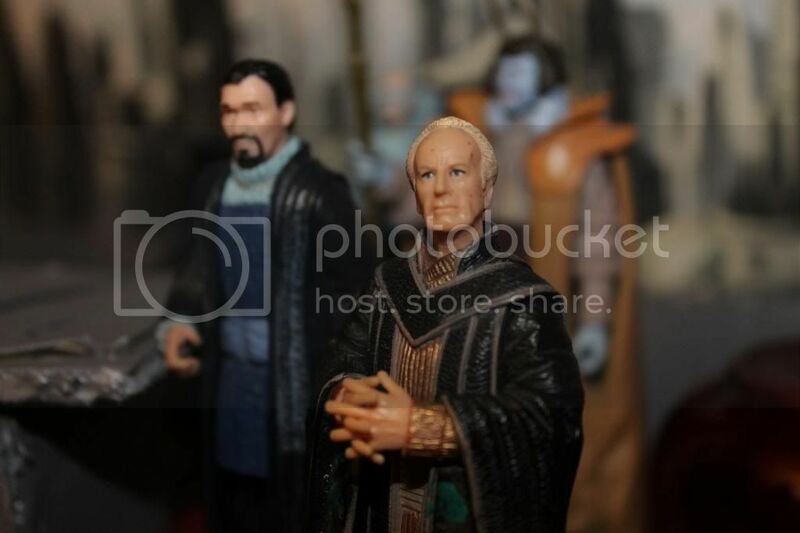 “Master Rancisiss, you are gifted with insight into the future. 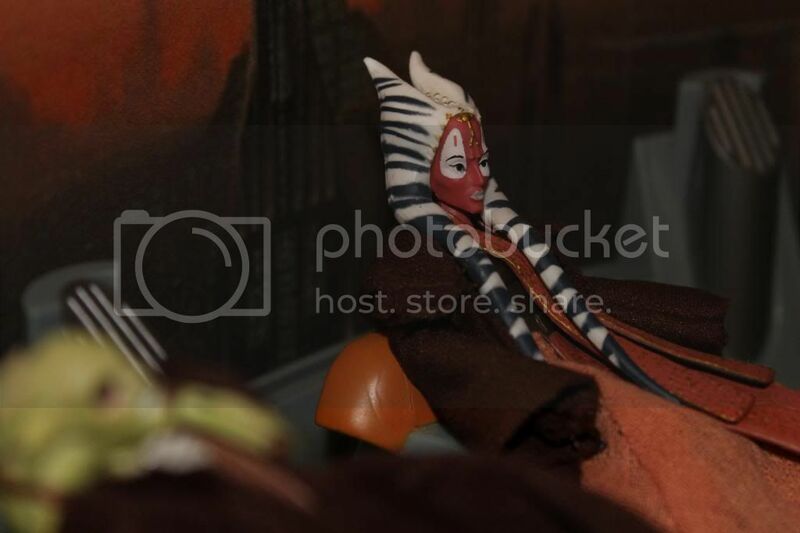 What will happen if the Jedi fail to act in this war?”, Shaak Tii questions. 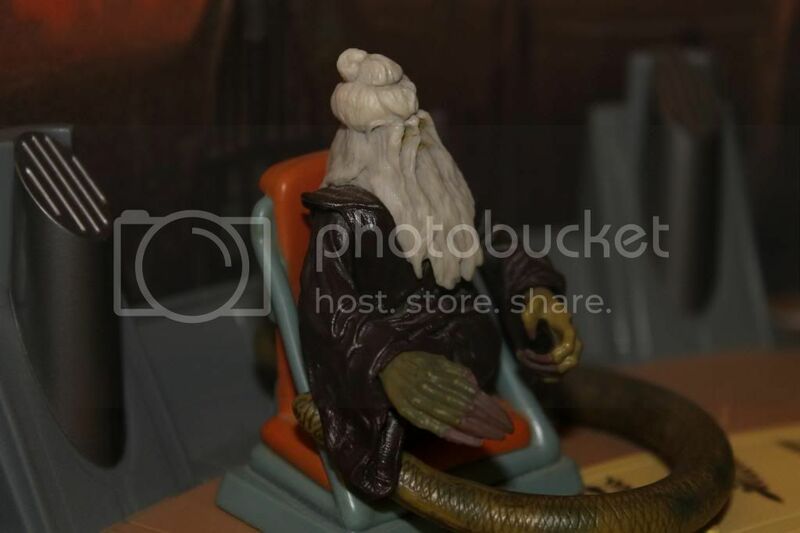 The ancient Jedi Master closes his eyes, lost in the currents of the force. “And an unending torrent of pain.”. 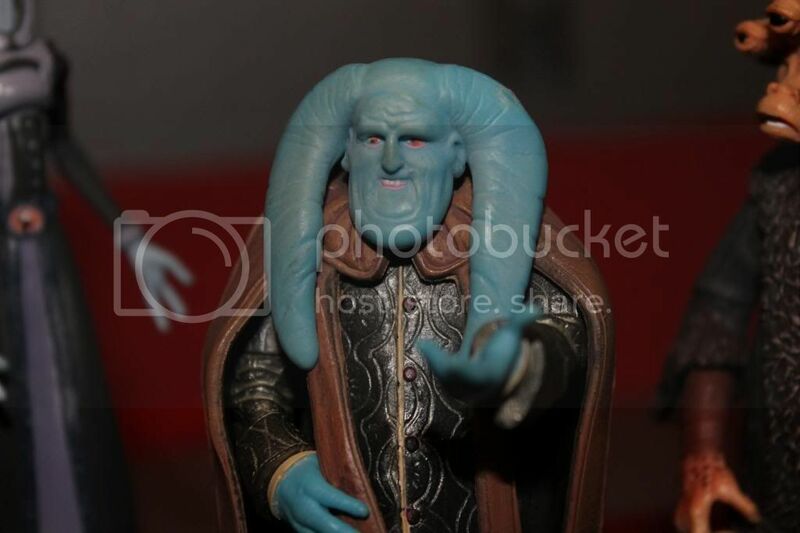 “Such an evil we have not seen since the days of the Sith Empire...”, Rancisiss concludes. 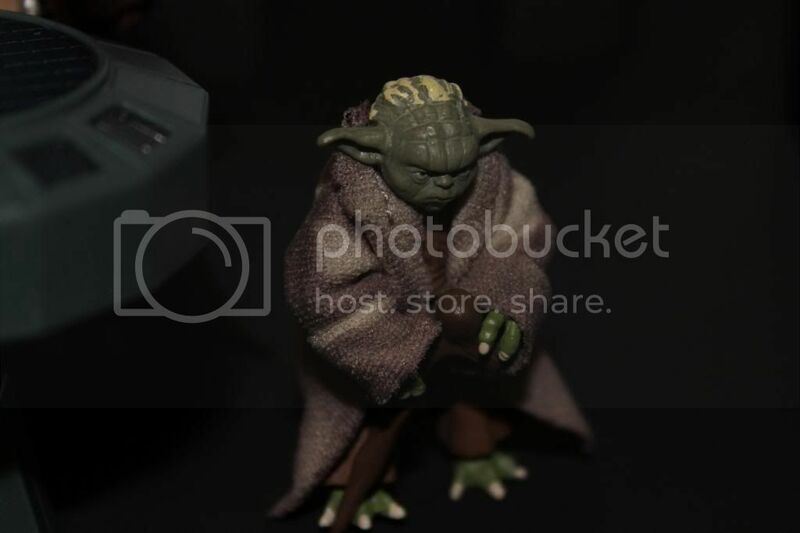 “Then have no choice do we, act we must or suffer under the fist of the Sith the galaxy will.”, Yoda observes. 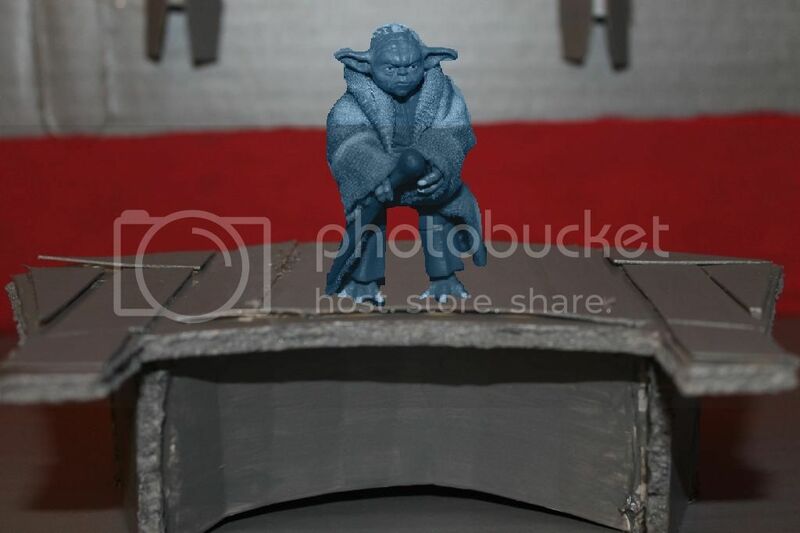 Realizing the truth of Yoda’s words the Counselors nod in agreement. 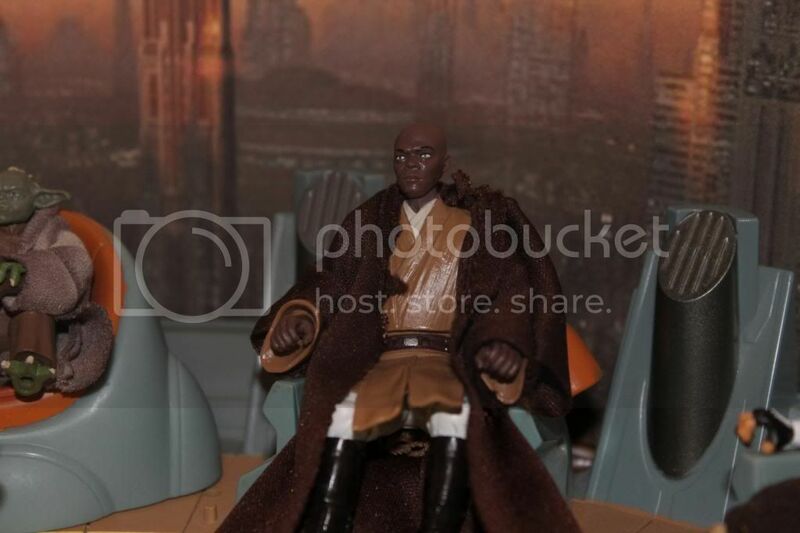 “Then it is settled, may the Force be with us all.”, Windu concludes with a meaningful look around the Council. 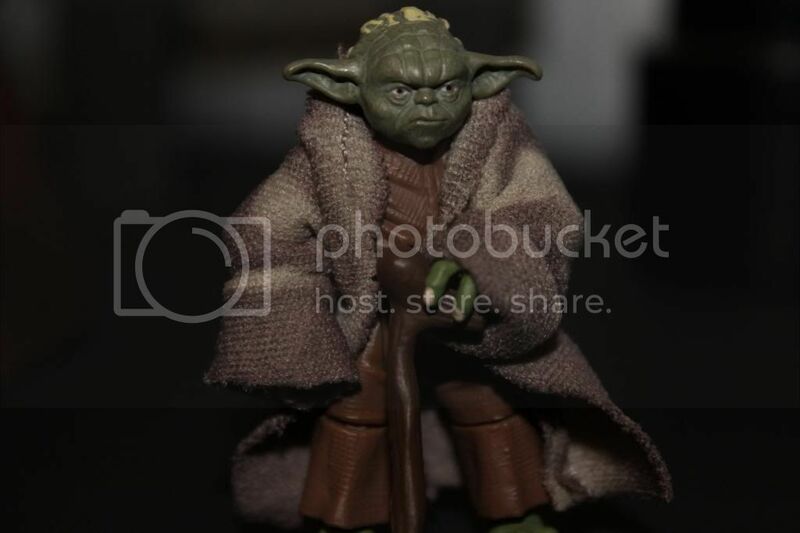 “Decided the Council has,”, the flickering hologram of Jedi Master Yoda reports to Chancellor Palpatine, “Accept the responsibility of leading this war will the Jedi.”. Palpatine breathes a relieved sigh and replies, “The Republic, and I, are forever in your Order’s debt Master Yoda. With the Jedi’s support these traitors will be wiped out.”. 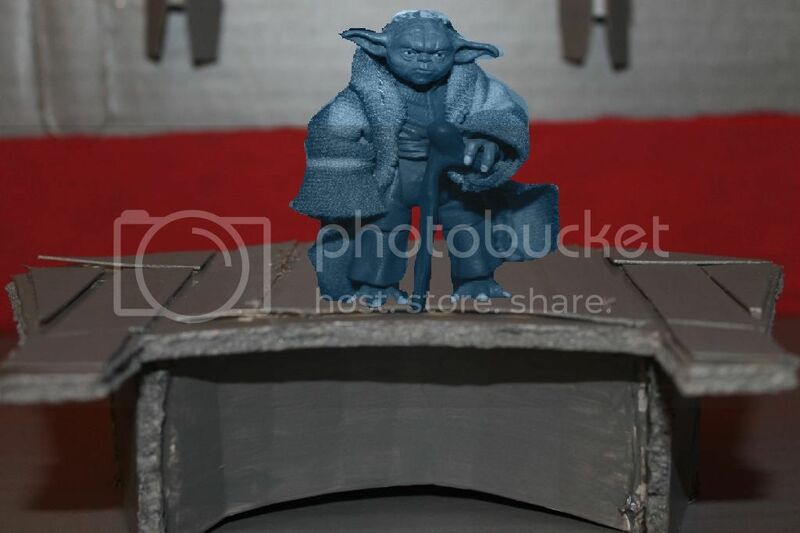 Yoda bows his head and concludes, “Our duty it is Excellency. Now return to my responsibilities must I, begin deployment yet tonight do many Jedi.”. 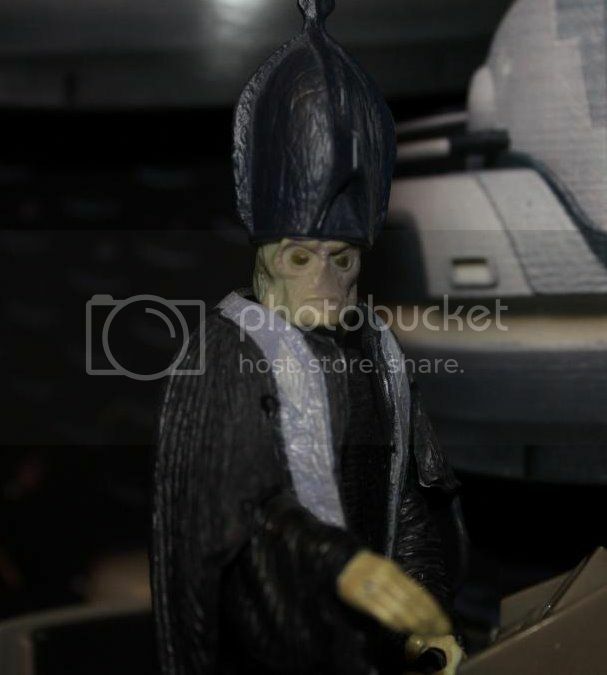 “Say no more Master Yoda, see to your Order’s needs.”, Palpatine agrees. Allowing the Dark Lord of the Sith to reveal his true nature. 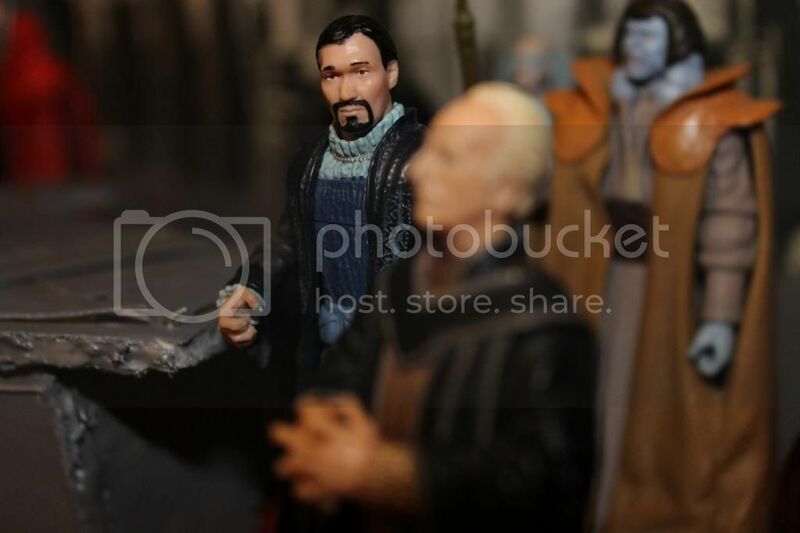 “The Jedi’s duty is what will ultimately lead to their demise my Master.”, booms the regal voice of Count Dooku from the shadows of the office. Joining his Master’s side Dooku continues, “Master Yoda would never suspect that the Jedi are the true traitors you spoke of.”. “Which makes our triumph all the greater.”, Darth Sidious gloats, flashing his apprentice a wicked smile, “The shroud of darkness blinds their Order. By the time that old fool sees the truth it will be too late.”. “Everything is proceeding according to plan.”. Wow, how the time flies. It's hard for me to believe that it has been over a year since the original Shroud of Darkness premiered. The original series and our new reboot would have impossible without the support of several people. My sister, who serves as Director of Photography and Set Designer, fellow fans like Tamer at ISY, Chewie at Yakface, and my dear friend Sjefke (you will see some of his outstanding contributions in the very near future!) who have been simply incredible and invaluable in the continued improvement of the series. However, Star Wars has undergone some dramatic changes in a year and in turn Shroud has had to change with it. 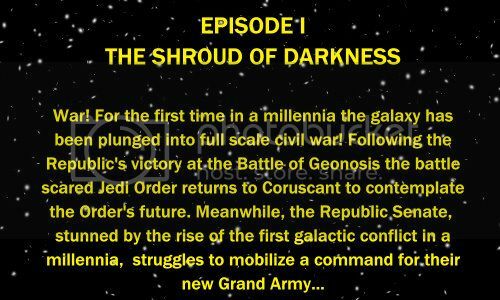 This series will still tie in with Star Wars The Clone Wars Television series, yet we have returned to the beginning of the war, to tell the complete story of the Clone Wars that was never before possible. Thank you taking the time to read and support a series which is truly a labor of love. Continued support and comment is extremely valued!! !